Note: This list was first published by Hasan Mustafa on the NotGeorgeSabra blog in 2014. He published an updated version on his own blog in 2015. With Hasan’s permission, I have compiled the third (and evidently final) version. Much of the credit for the information gathered here must go to Hasan. Additional input has been provided by the Syria Research Group, consisting of (as of 1/2/18): Cody Roche, Šerif Imamagić, Ryan O’Farrell, Alexander Killian, Ömer Özkizilcik, Noor Nahas, Vince Beshara, Abdulelah of Arabia, Hampton Stall, Yazid Umayya, shaikh, Abdulrahman al-Masri, Syria Revolution News, ASSBW, LaLaKdaho, Abu Omar al-Shami, Tristan Sloughter, Ayman al-Das, Fox Reporting, Wyvern, Omar al-Addem, john_locke_next_02, Hasan, and myself. Any subjective observations or opinions offered below are my own alone. The United States Department of Defense’s coordination with the Syrian Democratic Forces in the fight against the Islamic State has been the most visible form of American involvement in the Syrian civil war. This alliance overlaps with the DoD’s Train & Equip program involving the SDF and a few rebel groups. The first direct American intervention in the war was less public, coordinated by the CIA rather than the DoD. The CIA first began routing weapons to Syrian rebels in late 2012 or early 2013 through the covert Timber Sycamore program. Starting in 2014, the CIA deepened its involvement by providing select rebels with BGM-71 TOWs. These weapons, American-made but likely coming from Saudi Arabia’s stockpile, are wire-guided anti-tank missiles. The operator guides the missile with electronic impulses sent through a thin wire trailing behind the rocket. Only a few missiles were provided at a time; in order to prove that the weapons were not being misused, the rebels were required to film themselves firing the missile and return the spent casings to the appropriate Military Operations Command in Turkey or Jordan. Only after “good behavior” would more missiles come. Officially, the program remained covert, but the first videos of rebels firing the TOWs brought the program to light. With a relatively small size and a range of over 3,000 meters, TOWs are handy weapons that can be used against tanks, trucks, and even infantry placements. The CIA’s TOW program has allowed rebel groups, the number of which involved in the program has swelled over the years, to counter the armor of the generally better-equipped Syrian Arab Army, influencing several key battles. The TOWs have also given rebels deemed “moderate” enough to be vetted for them a certain edge over the hardline Islamists and jihadis who have come to dominate much of the rebellion. However, the program was not enough to propel the rebels, moderate or not, to victory over the Assad government and its allies. Although the vast majority of TOWs supplied as part of the program have not, as was initially feared, fallen into the hands of extremists, the few that have are not insignificant. Several times the al-Qaeda-linked Hayat Tahrir al-Sham (known in the past as Jabhat Fatah al-Sham and Jabhat al-Nusra) has attacked TOW-possessing groups, sometimes capturing TOWs and using them in later battles. HTS has also been known to “tolerate” TOW-possessing groups only as long as they provide useful anti-vehicle support in jihadist-led battles against the regime. Additionally, some of the groups vetted to receive TOWs have demonstrated a lack of respect for human rights and values. It was the beheading of a boy by vetted faction Harakat Nour al-Din al-Zenki that President Trump cited in his July 2017 decision to end the CIA’s TOW program. Since then, groups vetted as part of the program have continued to deploy their leftover TOWs on occasion, but (presumably) no new missiles have been provided. This post will give a brief profile of each rebel group known to have been vetted. Most have identified as part of the Free Syrian Army, which is more of a label than an actual organization despite unification attempts by rebel leaders and their backers. Many also have Islamism in their platforms, though the exact degree of Islamism varies widely and is often hard to tell. I will use the term “Sunni Islamism” to denote groups that are solidly Islamist in the presentation and/or call for the establishment of an Islamic state, though falling short of blatant sectarianism and Salafist jihadism. “Moderate Sunni Islamism” will refer to groups that identify as Sunni but do not appear to have a solidly religious agenda. Affiliation: Free Syrian Army. Area of operations: primarily Idlib; also Aleppo, Hama. Ideology: mix of secularism and moderate Sunni Islamism. A union of three prominent FSA groups formed in September 2016. All three had previously been involved in the similar 5th Corps in 2014. They had also been among the first rebel units to be vetted to receive TOWs. Their prominent status among northern FSA brigades, combined with their relationship with the United States, made them targets for elimination by al-Nusra/JFS/HTS. Clashes with the jihadis have greatly reduced the potency of the Free Idlib Army. Based in the town of Maarrat al-Nu’man. Originally founded as the Slaves of Mercy Brigade in late 2012 by defected army officer Lt. Col. Ahmad al-Saud. Enlarged and reformed as the 13th Division a year later. The 13th Division has been one of the least Islamist rebel groups still in existence (besides those working in the SDF) and has consistently called for the building of a civil Syrian state, meaning jihadist groups are particularly inclined to view it with hostility. Al-Nusra and the even more extreme Jund al-Aqsa attacked and captured the 13th Division’s headquarters in Maarrat al-Nu’man on March 13, 2016, seizing a few TOW missiles in the process. The trigger for the attack seems to have been the town’s continued use of FSA flags (rather than black Islamist banners preferred by jihadis), though the fact that the 13th Division had arranged a local truce with the Syrian Arab Army the month before probably also played a role. Maarrat al-Nu’man’s residents rallied to support the 13th Division and denounce al-Nusra. Protests emphasizing the goals of the original Syrian revolution have been held regularly since then, despite attempts by al-Nusra/JFS to violently suppress the protests. Al-Nusra/JFS and later HTS have attacked 13th Division positions and personnel, as well as those of the wider Free Idlib Army, a number of times. The most recent round of clashes in June 2017 resulted in HTS claiming full control of Maarrat al-Nu’man. As part of the ceasefire agreement, the Free Idlib Army’s leadership was pressured into ordering the 13th Division to dissolve. That order does not seem to have been fully carried out; the Division’s current status is unclear. Based in the town of Kafranbel, which is known for its iconic weekly protests against the Assad regime. Originally founded as the Knights of Justice Battalion in February 2012 by defected officer 1st Lt. Mohammed Khaled Bayoush. The group renamed to the Knights of Justice Brigade in September, at which point defected Air Force officer Lt. Col. Fares Bayoush took command. The group was involved in the founding of the 13th Division in 2013 but left soon after. The Knights of Justice were one of the few rebel groups to publicly acknowledge the authority of the Syrian National Council and National Coalition. When the brigade helped form the 5th Corps in September 2014, Fares Bayoush was appointed overall commander; the 5th Corps fell apart a few months later. In December 2015, the Knights of Justice Brigade merged with the 101st Infantry Division (see 21st Combined Forces) to form the Northern Division, but the 101st Infantry left in June 2016, leaving the Northern Division as little more than a re-branded Knights of Justice Brigade. Fares Bayoush became the commander of the Free Idlib Army upon the FIA’s formation in September, but he resigned from both leadership positions in January 2017, citing the FIA’s inability to deal with the growing dominance of jihadist factions in Idlib. Since then the Northern Division has dwindled. Originally based in the Jabal al-Zawiya region of Idlib, though jihadist dominance in that region has forced it to focus most of its efforts on Aleppo. Formed as the Falcons of Mt. Zawiya Battalion in September 2012 as an affiliate of the Ahfad al-Rasul Brigades, which was a Sufi-influenced Islamist group that fell apart in late 2013 after being driven out of eastern Syria by al-Nusra, Ahrar ash-Sham, and ISIS. The Falcons of Mt. Zawiya, now known as a Brigade, was one of the founding units of the Syria Revolutionaries Front in December 2013, but it left sometime later, possibly uncomfortable with the SRF’s growing corruption. Sometime in the autumn of 2015, the group shortened its name to the Mountain Hawks Brigade. When the brigade helped to form the Free Idlib Army in September 2016, a battalion of a few dozen solders at most defected to Jabhat Fatah al-Sham, though they returned in January 2017. Of the four constituents of the short-lived 5th Corps that are still active (the fifth, the 1st Infantry Brigade of Idlib, disappeared sometime after the 5th Corps’ collapse), the Mountain Hawks Brigade is generally considered to be the most Islamist and closest to Turkey. It is also the largest and most widespread at the moment. Its current leader, Capt. Hassan Haj Ali, is reportedly friendly with HTS these days. Affiliation: Free Syrian Army. Area of operations: mainly Idlib; also Aleppo, Hama. Ideology: secularism. The origins of this group lie in the Guardians of the Revolution Gathering, a secular FSA group founded in 2012 that included a number of religious minorities in its ranks. In June 2013, the Guardians participated in the formation of the 33rd Infantry Division. Both the Guardians of the Revolution and the 33rd Division as a whole experienced tensions with hardline Islamist groups like Ahrar ash-Sham. In the town of al-Dana in July, ISIS attacked both civilian protesters and 33rd Division fighters who tried to protect them, killing dozens and taking full control over the town. This was at roughly the same time that the National Unity Brigades, another secular and multi-confessional group with affiliates across the country, were clashing with al-Nusra in the Jabal al-Wastani area to the north. The 21st Combined Force became what it is today largely due to the efforts of Col. Hassan Hamada. Hamada was a former SAAF pilot who defected to Jordan with his MiG-21 on June 21, 2012, the first defecting pilot to bring his plane with him. Syrian government “Shabiha” burned down his family’s houses in retaliation, though he had snuck them out of Syria earlier. Hamada returned to Syria in March 2014 and formed the 101st Infantry Division, which was largely an expansion of the 33rd Infantry Division. The 101st was one of the first groups to be provided with TOW missiles. It helped form the short-lived 5th Corps in September 2014. Along with the other members of the 5th Corps, the 101st Infantry Division has come into frequent conflict with al-Nusra and other jihadist groups. Parts of the Division came under attack by al-Nusra during the latter’s offensive against the Syria Revolutionaries Front in October. In December 2015, the 101st Infantry Division joined with the Knights of Justice Brigade to form the Northern Division, but in June 2016 the 101st left after disputes between Col. Hamada and Lt. Col. Bayroush. In October the 101st absorbed a few smaller groups and rebranded as the 21st Combined Force. Despite in theory becoming larger, the group has since become moribund, a shell of its former self. It has not fired any TOWs since the renaming. Affiliation: Free Syrian Army. Area of operations: Idlib (formerly Rif Dimashq). Ideology: moderate Sunni Islamism. Originally based in Darayya, which had been under siege by the Assad regime since November 2012. Even before the war, Darayya had been known for peaceful protests. When protests broke out across the country in 2011, Darayya became one of the icons of the revolution against Assad. Armed rebellion reached the city in the closing months of the year. In August 2012 the government, having largely abandoned the town, pushed into it and killed nearly 500 people (almost all civilians) in what became known as the Darayya Massacre. Rebels retook the town in November, leading to the government imposing a siege on Darayya and the nearby town of Muadamiyat. With regime forces pushing in, the Martyrs of Islam Brigade was formed in March 2013 as a merger of several local FSA battalions, most notably the Darayya Martyrs Battalion. It soon proved effective in fending off government advances. The Martyrs of Islam Brigade also had the distinction of being the only notable rebel group operating under the authority of the local civilian council. The brigade joined the Southern Front, a large gathering of FSA groups in southern Syria with a commitment to civil governance and non-sectarianism. It was vetted for TOWs in mid-to-late 2014. Darayya endured a devastating siege and bombardment lasting over three and a half years. Over the course of 2016, though, the government made several advances, and on August 25 the rebels finally gave in and reached an agreement with the regime. Under the terms of the agreement, the rebels in the city (the Martyrs of Islam Brigade and a small contingent of the Ajnad al-Sham Islamic Union) and their families would be provided safe passage to rebel-held Idlib governorate; this arrangement came to be known as the “green bus deal” and was used for several later rebel defeats. The remaining civilians would be relocated to various towns around the Damascus area. Darayya subsequently became a ghost town. After arriving in Idlib, the Martyrs of Islam Brigade announced that it would continue to operate as an independent FSA group and denounced the Southern Front for failing to come to Darayya’s aid. It has not been seen with TOW missiles since the relocation. Affiliation: none. Area of operations: mainly Idlib; also Aleppo, Hama. Ideology: Sunni Islamism. Formed as the Freedom Battalion in July 2011 as one of the original units of the Free Syrian Army when the FSA was first announced. It was led by Capt. Ibrahim Majbur, who had defected from the SAA’s 14th Special Forces Division in June. Over time, the group became more Islamist, and by mid-2013 it had dropped most FSA imagery, changed its name to the Islamic Freedom Brigade, and joined the Authenticity and Development Front. The brigade left the ADF in 2014. It was one of the later recipients of TOW missiles, only beginning to deploy them in November 2016. Some of the group’s fighters reportedly sided with Hayat Tahrir al-Sham in the January 2017 clashes between HTS and Ahrar ash-Sham. Affiliation: none. Area of operations: mainly Idlib, Aleppo; also Hama. Ideology: Sunni Islamism. Formed in March 2014, mainly by fighters formerly part of the Muslim Brotherhood‘s Shields of the Revolution Council. The fighters wanted to distance themselves from the Brotherhood, which is viewed negatively by many Islamist and non-Islamist rebels alike. At the same time, the Sham Legion held a similar ideology and has been considered close to the Brotherhood. The group was originally framed as a more moderate alternative to the Islamic Front. Since then, though, its position on the Islamist spectrum has become more ambiguous. The Sham Legion was one of the seven founding members of the Idlib-based hardline Islamist alliance Jaysh al-Fatah, which was dominated by Ahrar ash-Sham and al-Nusra. It left Jaysh al-Fatah in January 2016 amid tensions with Jund al-Aqsa, which spent much of 2015 and 2016 dithering about whether Jaysh al-Fatah was sufficiently devoted to the implementation of Sharia law. Somewhere around this time, the Sham Legion began deploying TOW missiles; the supply evidently continued even after the Sham Legion rejoined Jaysh al-Fatah in May 2016. When widespread clashes between the newly-formed HTS on one side and Ahrar ash-Sham and several FSA groups on the other in January 2017, the Sham Legion initially stated its wish to remain neutral, but it ended up siding with Ahrar after being attacked by HTS forces. This incident demonstrated the Sham Legions’ relatively decentralized structure; while some parts of it are closely allied with Turkish-backed FSA groups, other parts have tried to maintain links with jihadis hostile to Turkey and the FSA. In February the group absorbed fighters from Harakat Nour al-Din al-Zenki (which had helped to form HTS) who wished to continue participating in the Turkish-led Hawar Kilis Operations Room. Other rebels later accused many of those fighters of being thugs and spies for HTS, and the Sham Legion ended up disowning them. In March the fighters from Ajnad al-Sham Islamic Union who had been relocated from Darayya and Muadamiyat joined the Sham Legion. The famous TOW gunner Suhail Muhammad Hamoud, better known as “Abu TOW”, is currently a member of the Sham Legion. He had earlier been part of the Hazzm Movement (see defunct section), 101st Infantry Division/21st Combined Force, 13th Division, and 1st Coastal Division. Abu TOW has been noted not only for his accuracy but for his anti-jihadi attitude. After several failed attempts on his life, he was arrested by HTS in May 2017 after posing with a cigarette in front of an HTS no-smoking sign. The subsequent public outcry and pressure from fellow rebel groups forced HTS to release him after two weeks. Affiliation: Free Syrian Army > 2nd Army. Area of operations: Aleppo, Hama. Ideology: unknown. Formed in February 2015. Not to be confused with the Daraa-based 46th Infantry Division. It began deploying TOW missiles later that year during the Russian-backed regime offensive in Hama. It helped form Jaysh al-Tahrir in February 2016 but split from it in August after disputes with fellow Jaysh al-Tahrir member Jabhat al-Sham (not to be confused with the Levant Front profiled below). The 46th Division accused Jabhat al-Sham’s leader of corruption and (ironically) may have arranged for al-Nusra to kidnap him. The 46th Division and two other former Jaysh al-Tahrir affiliates (the 312th Division and Saraya al-Haqq Union 314) then formed the 2nd Army. For a time the 2nd Army was part of the Army of Conquerors in the Land of al-Sham but was independent again by early 2017. The 2nd Army has stated its support for a civil, democratic state and has endorsed international negotiations to end the war. Affiliation: Free Syrian Army. Area of operations: Aleppo. Ideology: moderate Sunni Islamism, Turkish nationalism; “neo-Ottomanism”. Founded in March 2013 as the Sultan Murad Brigade. The most prominent affiliate of the loosely-organized Syrian Turkmen Brigades and the closest rebel group to the Turkish government. It was vetted for TOWs in mid-to-late 2014. In December 2015 the brigade absorbed a number of smaller Turkmen groups and adopted its present name. Due to its closeness with Turkey, the Sultan Murad Division has been among the rebel groups most adamantly opposed to the Kurdish-led SDF. The group has been accused of a number of human rights abuses over the years, including torturing and murdering civilians and POWs and participating in the indiscriminate shelling of civilian areas in the Kurdish neighboorhod of Sheikh Maqsood. Affiliation: Free Syrian Army. Area of operations: Aleppo. Ideology: Sunni Islamism. The Levant Front is the direct descendant of Liwa al-Tawhid, one of the major rebel groups in the war from its founding in July 2012. Liwa al-Tawhid positioned itself in between the moderate Islamists in the FSA and the hardline Salafis like Ahrar ash-Sham, and as such enjoyed good relations with most other rebel factions. It was a member of the Syrian Islamic Liberation Front and later helped form the Islamic Front in November 2013. Just days previously, however, its popular leader Abdul Qader Saleh was killed in a government airstrike. Over the course of 2014 the brigade declined steadily, experiencing many defections. What was left of the group helped form the Levant Front operations room, which united the Islamic Front’s Aleppo forces (mainly Liwa al-Tawhid, with a small contingent of Ahrar ash-Sham) and four other Islamist groups in the governorate. The operations room fell apart in April 2015, but it reformed as a unified group in June. At this point the Levant Front was essentially a rebranded Liwa al-Tawhid. In 2016 the group adopted the FSA identity and began deploying TOW missiles. It has been accused of war crimes, torture, and corruption at various times. The Levant Front has a number of subgroups; interestingly enough, a small Trotskyist brigade was affiliated between June 2015 and October 2016. Affiliation: Free Syrian Army. Area of operations: Aleppo. Ideology: Sunni Islamism. Split from Liwa al-Tawhid in early 2015. One of the more stridently Islamist FSA groups. One of its commanders is known to be close to al-Qaeda and was responsible for kidnapping and torturing of an American journalist in 2014; despite this, the group began deploying TOW missiles in October 2015. Affiliation: Free Syrian Army. Area of operations: Aleppo. Ideology: moderate Sunni Islamism. Formerly known as the Al-Safwa Islamic Battalions. Originally formed as part of Liwa al-Tawhid in January 2013; it split from Tawhid later that year. At some point it was also affiliated with the Army of Mujahideen. It attempted to join the Levant Front in 2015 but was rejected for being insufficiently Islamist. Possibly a Sufi-influenced group. It began deploying TOW missiles in May 2016. Affiliation: Free Syrian Army. Area of operations: Aleppo. Ideology: unknown. Formerly part of the Hamza Division (the Aleppo-based one, not the Daraa-based one), and before that, the short-lived 99th Division. It appears to be a special-operations style group. Members were photographed with a TOW in early 2016, possibly meaning that the group has been vetted. If this is true, Northern Thunder has the distinction of being one of only two groups vetted as part of both the CIA’s TOW program and the DoD’s Train & Equip program (the other group being Jaysh Maghawhir al-Thawra, listed further below). The brigade has been quiet in the past year and may have rejoined the Hamza Division. Affiliation: Free Syrian Army. Area of operations: Aleppo. Ideology: unknown. Founded as the 16th Infantry Division in September 2013. The group had a reputation for being corrupt. The core unit was Liwa Shuhada Badr, led by Khaled Hayani; Hayani had been one of the most infamously corrupt warlords in the FSA until his death in 2015. The 16th Infantry Division was also known for shelling civilian areas in regime- and YPG-held territory with the infamous hell cannons. Despite having allied with the YPG in previous years, the division was the most prominent participant in the shelling of the Kurdish Aleppo neighborhood of Sheikh Maqsood from 2015-2016. The group suffered heavy losses in a July 2016 government offensive in Aleppo city and subsequently dissolved. Remnants formed the 23rd Division, sometimes known as the Rapid Intervention Force. Both the 16th Infantry Division and the 23rd Division have received TOW missiles, beginning in mid-to-late 2014, despite the reputation of the fighters. Affiliation: Free Syrian Army. Area of operations: Aleppo. Ideology: Sunni Islamism. Founded in December 2012. Possibly close to the Muslim Brotherhood, though never affiliated with it. It helped to form the Army of Mujahideen in January 2014 but left at the end of the year. The group began deploying TOW missiles in April 2016. In November it came into conflict with Harakat Nour al-Din al-Zenki, leading to defeat at the hands of Zenki and the hardline Islamist Kataeb Abu Amara. Most of its fighters then dispersed, many joining Ahrar ash-Sham for protection. Most of the remnants also merged into Ahrar in January 2017 after being attacked by Jabhat Fatah al-Sham. In May, a former Fastaqim commander was invited to a meeting in Idlib; upon his arrival, he was arrested by Ahrar, which demanded that the last remnants of Fastaqim surrender. After a brief clash, Fastaqim was defeated again. Reportedly, there is still a tiny contingent of fighters active in the Turkish-led Euphrates Shield operations room, but the Fastaqim Union is practically defunct. Affiliation: none. Area of operations: mainly Aleppo; also Idlib. Ideology: Sunni Islamism. Formed in late 2011. It has been affiliated with a number of groups over the years, including Liwa al-Tawhid, the Authenticity and Development Front, the Fastaqim Kama Umirt Union, the Army of Mujahideen, Jaysh al-Fatah, and most recently Hayat Tahrir al-Sham. Zenki has been noted for its flexible form of Islamism, adapting its ideological stance depending on whether it was convenient to ally with moderates or hardliners. In 2014, it was known to have kidnapped people, including journalists and humanitarian workers, for ransom. By the next year, however, it had begun courting the West and was vetted to receive TOW missiles. Despite its shifting alliances, the group continued its corrupt practices and reportedly lost its vetted status sometime between late summer 2015 and February 2016. In July 2016, Zenki fighters beheaded a child alleged to be a fighter for the pro-government Palestinian militia Liwa al-Quds; it was later claimed that the “boy” was actually 19. Regardless of the truth, the incident caused tremendous controversy in Syria and in the West. In September, Zenki joined the hardline Jaysh al-Fatah. It was one of the founders of Hayat Tahrir al-Sham in January 2017 alongside Jabhat Fatah al-Sham and three other groups, despite having clashed with al-Nusra/JFS in the past. Zenki’s contingent active in the Euphrates Shield area then defected to the Sham Legion, though as noted above, these fighters still came into conflict with other factions in the area. By July, though, Zenki had become uncomfortable with HTS’ constant clashes with other rebels and defected, leaving it as an independent group today. Many of the Turkish-led rebel factions are reportedly welcoming Zenki back into the fold of “legitimate” rebels. Affiliation: Free Syrian Army. Area of operations: mainly Latakia; also Idlib. Ideology: mix of secularism and moderate Sunni Islamism. The 1st Coastal Division’s core unit, the Brigade of the Chargers, was one of the first groups to be vetted for TOW missiles in early 2014. It had previously been a member of the Ahfad al-Rasul Brigades. In October/November 2014 the Brigade of the Chargers merged with several smaller Latakia-based groups to form the 1st Coastal Division. It is the most prominent FSA unit in Latakia governorate, which contains a large number of religious and ethnic minorities and is mostly controlled by the Assad government. Most of the other rebels in Latakia are either hardline Islamists or Turkmen nationalists. The 1st Coastal Division has been among the most prolific of TOW-using groups. One of their TOW gunners, “Abu Hamza”, became famous for his accuracy. Affiliation: Free Syrian Army. Area of operations: Latakia. Ideology: moderate Sunni Islamism, Turkish nationalism. Formed in early 2015. Part of the very loosely-organized Syrian Turkmen Brigades. The 2nd Coastal Division is linked to at least two ultranationalist groups in Turkey: the Idealist Youth, which is the youth wing of the far-right Nationalist Movement Party, and the Grey Wolves, which is unofficially linked to the Nationalist Movement Party and has conducted several terrorist attacks over the years. In November 2015, after Turkey shot down a Russian fighter jet that allegedly violated its territory during a bombing campaign in Latakia, one of the 2nd Coastal Division’s commanders fired on one of the ejected pilots as he was parachuting in mid-air, killing him. The commander, Alparslan Çelik, is a Turkish citizen and a member of both the Grey Wolves and the Great Unity Party, another far-right party in Turkey. Despite links to the far right, the 2nd Coastal Division was vetted for TOW missiles and first deployed them in July 2016. Affiliation: Free Syrian Army. Area of operations: mainly Hama; also Aleppo. Ideology: unknown. Formed in September 2015 as a merger of the Sword of God Brigade and the Army of Conquerors in the Land of al-Sham. The Sword of God Brigade had deployed TOWs a few months prior to the formation. The Army of Conquerors left sometime later. Affiliation: Free Syrian Army. Area of operations: mainly Hama; also Idlib, Latakia. Ideology: mix of secularism and moderate Sunni Islamism. Originally formed in August 2015 as an operations room of several FSA groups in Hama seeking to emulate the success of the Jaysh al-Fatah alliance in Idlib. By October, however, the operations room fell apart and three of its members – the Falcons of al-Ghab Gathering, the 111th Regiment, and the Fighting Salvation Front – reformed Jaysh al-Nasr as a single faction. The group is the most prominent FSA brigade in Hama governorate. A few minor factions have joined over time, including Liwa Ahrar Darayya, consisting of fighters who were evacuated from the defeated city of Darayya in Rif Dimashq. The 111th Regiment changed its name to the 5th Infantry Division at some point. Although Jaysh al-Nasr and its component groups have come into conflict with al-Nusra/JFS before, the group’s ability and willingness to fight against jihadists has been hampered by the leading role that jihadist groups often play in offensives against the government in Hama governorate. Liwa al-Aqsa (an openly pro-IS split from Jund al-Aqsa) attacked a Jaysh al-Nasr camp and captured 250 fighters, roughly 80 of whom were executed before Liwa al-Aqsa fled, eventually working out a deal with HTS and the Turkestan Islamic Party to be transferred to IS territory. The core component of Jaysh al-Nasr. Based in the town of Qalaat al-Maqid in the Ghab plan area. It was founded in February 2012 by Lt. Jamil Raadoun, who defected from the Syrian Arab Air Defense Force. The Falcons of al-Ghab were one of the first groups to be vetted for TOW missiles. Lt. Raadoun was assassinated in a car bomb attack in Turkey shortly after the formation of the Jaysh al-Nasr operations room; the most likely culprit was al-Nusra, although it may have been the pro-government Syrian Resistance militia. Affiliation: Free Syrian Army. Area of operations: mainly Hama; also Idlib, Latakia. Ideology: moderate Sunni Islamism. Founded as the al-Tamanah Martyrs Brigade in early 2012 and based in the town of al-Tamanah, Hama, near the border with Idlib. It absorbed a number of other groups and renamed to Tajammu al-Izza in 2013. The group came to prominence in October 2015 when it was one of the first rebel groups targeted by the Russian Air Force during at the beginning of Russia’s intervention in Syria; it had begun deploying TOW missiles sometime earlier. The group adopted its current name later that year. Jaysh al-Izza is led by defected Maj. Jamil al-Saleh, who has reportedly been close to al-Nusra in the past. Despite this, the group has included several Alawite defectors, especially from the anti-regime Alawite town of al-Talisah. Affiliation: none (sometimes considered part of FSA). Area of operations: Damascus, Rif Dimashq. Ideology: Sunni Islamism. Formed in November 2013 by Cpt. Abdul al-Nasir Shamir, who had defected from the Syrian Arab Army the previous year. It operates in Damascus city, the Eastern Ghouta rebel pocket, and the Eastern Qalamoun region. The al-Rahman Legion is Sufi-influenced, as opposed to the more Salafi Jaysh al-Islam, and is sometimes considered part of the FSA. Jaysh al-Islam has never had much tolerance for rivals, but al-Rahman managed to become the second-largest rebel group in the Damascus region after Jaysh al-Islam. The two groups formed part of the Unified Military Command of Eastern Ghouta. JaI’s charismatic and fiercely controversial leader, Zahran Alloush, was killed in December 2015 by a Russian airstrike; the relative peace that had existed between JaI and al-Rahman soon came apart. The two groups have spent much of the time since then fighting each other. Although JaI is more notorious for strong-arming civilians and other rebels, al-Rahman has proved little better. In October 2016 the group fired on demonstrators calling for an end to the infighting in Eastern Ghouta; many of its fighters then left and formed Alwiya al-Majd, the latest in several groups to defect from the al-Rahman Legion. In May 2017 al-Rahman surrounded Alwiya al-Majd’s headquarters and forced it to rejoin. Despite al-Rahman’s ideological moderation compared to Jaysh al-Islam, the group has found no qualms about allying itself with al-Nusra/JFS to fight Jaysh al-Islam. This alliance did also not stop the CIA from providing al-Rahman with TOWs, although it is possible that TOWS fired by al-Rahman in the past two years were leftover from its initial stock provided in early 2015. Affiliation: Free Syrian Army > Southern Front > Southern Alliance. Area of operations: mainly Rif Dimashq; also Damascus, Daraa. Ideology: moderate Sunni Islamism. Based in the southern Damascus countryside. Formerly known as the Ababil Houran Brigade. In December 2015 the group imprisoned and tortured a journalist for purportedly working for the government. Jaysh al-Ababil first deployed TOW missiles in May 2016; it has clashed with al-Nusra at least once over the years. It joined with the southern sector of the Syria Revolutionaries Front to form the Southern Alliance in August 2017. Affiliation: Free Syrian Army > Southern Front. Area of operations: Rif Dimashq; also Homs. Ideology: secularism. Formed in August 2013 by defected Col. Bakur Salim al-Salim. There are two possible sources of the name Ahmad al-Abdo: it could refer to 1st Lt. Ahmad al-Abdo, a commander of a previous group who was killed in action, or to Ahmad al-Abdo al-Saeed, a civilian protester killed in early 2011. The Forces of the Martyr Ahmad al-Abdo have been one of the most consistently moderate rebel groups of the war and was one of the first groups to be vetted for TOW missiles. Initially, it refused to fight alongside Islamists, though that insistence was later dropped. It has been mainly active in the Eastern Qalamoun region fighting IS; it has respected a ceasefire with the regime signed by the local civilian councils in 2016. Col. Salim died in an IS suicide bombing in June of that year. By early 2017 Ahmad al-Abdo and its allies – Jaysh Usoud al-Sharqiya, Liwa Shuhada al-Qaryatayn, the Army of Free Tribes, and Jaysh Maghawir al-Thawra – had captured a swath of territory in southeastern Syria from IS. These advances were made possible in part by the US Special Forces base in al-Tanf on the Iraqi border; the US provided arms and air support to their rebel allies, although only Jaysh Maghawhir al-Thawra was part of the DoD’s Train & Equip program. In May, the Syrian government launched an offensive aimed primarily at cutting US-backed rebels off from access to southern Deir ez-Zor governorate. The rebels appealed for more American support, with Ahmad al-Abdo even sending a delegation to Washington, but at this stage the US was becoming more reluctant to actively engage the Syrian government and its allies. Despite the occasional US retaliatory airstrike, the government’s offensive was successful, encircling rebel-held Eastern Qalamoun pocket and squeezing rebels in the Badia region of eastern Suweida and Rif Dimashq against the Jordanian border. In late August the Forces of the Martyr Ahmad al-Abdo announced that it would merge with Jaysh Usoud al-Sharqiya, but a few days later the situation proved so desperate that Ahmad al-Abdo decided to retreat across the border in Jordan. Jaysh Usoud al-Sharqiya disagreed and the merger never took place. Since relations between Jordan and the Assad government are thawing, it is uncertain if Ahmad al-Abdo will be allowed to redeploy somewhere else. The branch in Eastern Qalamoun is still active, though the rebels there no longer have a frontline with IS and the ceasefire with the regime has held so far. Affiliation: Free Syrian Army > Southern Front. Area of operations: mainly Rif Dimashq; also Homs. Ideology: moderate Sunni Islamism. Formed in August 2014 largely by fighters from Deir ez-Zor who had been pushed out by IS, although by January 2016 a majority of fighters were reportedly Eastern Qalamoun locals. Part of the Authenticity and Development Front from its formation to December 2015. Like the Forces of the Martyr Ahmad al-Abdo, it has been mostly focused on fighting IS. In early 2015 Jaysh Usoud al-Sharqiya captured and deployed TOW missiles from IS that had originally been captured from either the al-Rahman Legion or Ahmad al-Abdo. The group was vetted to receive more TOWs in early 2016. In August 2017 it announced a merger with Ahmad al-Abdo, but the merger fell apart a few days later after disagreements on whether to stay and fight the advancing Assad regime in the Badia region. Usoud al-Sharqiya chose to stay; since then it has largely been pushed out of the Badia. Affiliation: Free Syrian Army. Area of operations: Homs; formerly Rif Dimashq, Deir ez-Zor. Ideology: unknown. Formed in May 2015 as the New Syrian Army, an affiliate of the Authenticity and Development Front that was solely devoted to fighting IS. It was mostly made up of Deir ez-Zor natives, especially former fighters of Kata’ib Allahu Akbar. The New Syrian Army was part of the US DoD’s Train & Equip program. Deployed in the south instead of the north like the other Train & Equip affiliates, the NSyA operated in an area with negligible al-Nusra presence, thus avoiding being crushed like the 30th Division. Deploying from Jordan, the group raided IS positions around the al-Tanf border crossing until finally capturing it in March 2016 alongside the Forces of the Martyr Ahmad al-Abdo. The US subsequently built a base there and used that base to coordinate anti-IS offensives in the southeastern region. After making inroads against IS in southern Deir ez-Zor governorate, the NSyA attempted to capture Abu Kamal in June. Despite having US training and supplies and coordinating with US special forces, the NSyA failed spectacularly and retreated from Abu Kamal in tatters. Although part of the blame lay with the US for withdrawing air support in the middle of the battle, the New Syrian Army attracted much ridicule for its weakness. The ADF dropped the group from its ranks in August as a result of the incident. The NSyA remained quiet for months before dissolving in December. Some of its members reformed as Jaysh Maghawhir al-Thawra (“Revolutionary Commando Army”). Over the next few months, this group worked closely with the Forces of the Martyr Ahmad al-Abdo, Jaysh Usoud al-Sharqiya, and Liwa Shuhada al-Qaryatayn to drive IS from a swath of territory in southeastern Syria. Much of this territory then fell to the Assad government in mid-2017; after this there were reports of “decommissions” and desertions from JMaT as the US showed signs of giving up on the area. By December 2017 regime and allied forces had surrounded the area around al-Tanf and demanded that the US leave; it is currently unclear whether the US will comply, and thus Jaysh Maghawhir al-Thawra’s existence in the near future is also unclear. The group was reportedly supplied with TOW missiles at some point in 2016-2017, but no video confirmation exists. Affiliation: Free Syrian Army > Southern Front. Area of operations: mainly Rif Dimashq; also Daraa, Quneitra. Ideology: mix of secularism and moderate Sunni Islamism. Formed in 2012 in the Damascus area, though since 2013 it has focused mostly on Daraa and Quneitra. It is one of the larger and more widespread Southern Front factions. The Sword of al-Sham Brigades first deployed TOWs in mid-to-late 2014. One of the subunits to receive TOWs is called the Jesus Christ Brigade, named in deference to the Christian-majority villages in the area it operates. Affiliation: Free Syrian Army > Southern Front > Revolutionary Army . Area of operations: mainly Daraa; also Quneitra. Ideology: moderate Sunni Islamism. Founded in December 2012 as the Yarmouk Brigade. It was one of the first groups to be vetted for TOW missiles in early 2014. Its founder and former leader, Bashar al-Zoubi, was the driving force behind the creation of the Southern Front in February 2014. Zoubi, a successful businessman who hailed from an influential family, was recognized as one of the leading moderate voices in the rebellion in 2013, at a time when Islamism and jihadism were coming to dominate the opposition to Assad. The Southern Front supports the creation of a civil, non-sectarian, and democratic state. The Yarmouk Army helped form the Hawks of the South Alliance within the Southern Front in December 2014; that coalition fell apart in the aftermath of the failed offensive on Daraa city in mid-2015. In December 2016, Yarmouk helped form another intra-Southern Front alliance, the Revolutionary Army (“Jaysh al-Thawra” in Arabic; not to be confused with the SDF’s Jaysh al-Thuwar in northern Syria). Four of the six current members of the Revolutionary Army, including Yarmouk, were vetted for TOWs. The Yarmouk Army is still one of the most powerful Southern Front factions, although the Southern Front as a whole has weakened, constantly under pressure by its Western and Jordanian backers to avoid confrontation with the Assad regime. Affiliation: Free Syrian Army > Southern Front > Revolutionary Army. Area of operations: Daraa. Ideology: moderate Sunni Islamism. One of the earliest FSA groups formed in Daraa governorate. Founded in February 2012 as the Emigrants and Helpers Battalion by Capt. Iyad Qaddour and Capt. Khalid Fathalla, both military defectors. Despite its name, it is comprised of local Syrians, not foreigners, and is not to be confused with jihadi groups with similar names. It was vetted to receive TOW missiles in mid-to-late 2014. When the Revolutionary Army was formed in December 2016, Capt. Qaddour was named the overall commander. Affiliation: Free Syrian Army > Southern Front > Revolutionary Army. Area of operations: Daraa. Ideology: moderate Sunni Islamism. Another old FSA formation in Daraa. Founded in January 2012 as the Mutaaz Billah Battalion. It was vetted to receive TOWs in late 2014-early 2015. The Mutaaz Billah Army was one of the four original founders of the Revolutionary Army in December 2016 (the others being the Yarmouk Army, the Emigrants and Helpers Brigade, the Mutaaz Billah Army, and the Hassan ibn Ali Brigade). Affiliation: Free Syrian Army > Southern Front > Revolutionary Army. Area of operations: mainly Daraa; also Quneitra. Ideology: moderate Sunni Islamism. Formed as the Dawn of Islam Battalions in December 2012 by defected SAA officer Lt. Col. Mohammad Hassan Salama. It was vetted to receive TOWs in mid-late 2014 and joined the Revolutionary Army in June 2017. Formed in October 2012 by Ismael Mahmoud al-Masri. Its core founding unit was the Rayat al-Haqq Battalion, one of the earliest FSA groups formed in Daraa. Split from the March 18 Division in July 2013, but it rejoined in February 2016. It was vetted for TOWs in late 2014-early 2015. Not related to the Aleppo-based Tawhid Brigade (see Levant Front above). Affiliation: Free Syrian Army > Southern Front > Southern Forces Coalition. Area of operations: Daraa. Ideology: moderate Sunni Islamism. The very first FSA brigade formed in Daraa, founded in September 2011 as the Omari Battalion. It was led by Capt. Qais al-Qataneh, who defected in July, the first Daraa officer to do so. Based mainly in the Lajat region of eastern Daraa. The Omari Brigades were part of the southern sector of the Syria Revolutionaries Front. They became one of the first groups to be vetted for TOW missiles. In August 2014 Capt. Qataneh was involved in a heated argument with an activist; the argument turned into a gunbattle that left Qataneh dead and the activist badly wounded. Omari Brigades fighters subsequently forced their way into the hospital that was treating the activist and killed him. The murder brought tribal rivalries into play and caused quite a stir in the heavily tribal-oriented Lajat community. The Omari Brigades left the SRF in late 2014. Affiliation: Free Syrian Army > Southern Front > Southern Forces Coalition. Area of operations: Daraa. Ideology: unknown. Named after the famed Muslim leader Saladin. The Salah al-Din Division was vetted for TOWs in mid-to-late 2014 while it was known as the Salah al-Din Brigade and was part of the 1st Corps. The 1st Corps was an alliance of roughly 45 small Daraa-based groups, but it was beset by internal tensions. It fell apart in the aftermath of the failed rebel assault on Daraa city in the summer of 2015. The Salah al-Din Brigade was one of the first to break away and then became a Division. Affiliation: Free Syrian Army > Southern Front > Southern Forces Coalition > 46th Infantry Division. Area of operations: mainly Daraa; also Quneitra. Ideology: unknown. Formed in April 2014. Based in northwestern Daraa. It was vetted for TOW missiles in late 2014-early 2015. The 69th Special Forces Division helped form the 46th Infantry Division in April 2016 as part of a series of mergers to strengthen the Southern Front. Affiliation: Free Syrian Army > Southern Front > Southern Forces Coalition > Decisiveness Division. Area of operations: Daraa. Ideology: moderate Sunni Islamism. The Dawn of Tawhid Division was vetted for TOWs in mid-to-late 2014 while part of the 1st Corps; at the time, it was known as the Dawn of Tawhid Brigade. Much like the Salah al-Din Division, Dawn of Tawhid broke away from the collapsing 1st Corps in mid-2015, subsequently becoming a Division. It participated in the creation of the Decisiveness Division in April 2016. Affiliation: Free Syrian Army > Southern Front > Southern Forces Coalition > Decisiveness Division. Area of operations: mainly Daraa; also Quneitra. Ideology: unknown. Founded as the Shield of al-Lajat Brigade in October 2012 by Col. Ahmed al-Omar and Col. Jihad Saad al-Din. By June 2013 it was known as the Amoud Horan Brigade. It was vetted to receive TOWs in mid-to-late 2014. In April 2016 the Amoud Horan Division participated in the creation of the Decisiveness Division. Affiliation: Free Syrian Army > Southern Front > Southern Forces Coalition. Area of operations: Daraa. Ideology: unknown. The Dignity Brigade’s leader, Ziad al-Hariri, was the leader of the 1st Corps. It first deployed TOW missiles in September 2014. Named after the original commander of the southern SRF. Capt. Naimi was assassinated via a car bomb in March 2016 along with several other SRF leaders. No group has claimed responsibility. The Union first deployed TOW missiles in December 2016. Affiliation: Free Syrian Army > Southern Front. Area of operations: mainly Daraa; also Quneitra. Ideology: moderate Sunni Islamism. Formerly known as the Lions of Sunna Brigade. It was vetted for TOWs in late 2014-early 2015. The group helped to form the Hawks of the South Alliance in December 2014, thought that formation fell apart the next year. Affiliation: Free Syrian Army > Southern Front. Area of operations: Daraa. Ideology: unknown. Based in the outskirts of Daraa city, especially the town of Naima. Formed in December 2012 as the Fallujah of Horan Brigade. One of its founding members was the Mutasim Battalion, the third FSA group formed in Daraa (founded in December 2011). One of the group’s leaders, Lt. Col. Yasser Abboud, was involved in leadership struggles plaguing the FSA in Daraa in 2012. He was killed in clashes with the government in October 2013. The brigade helped to form the Hawks of the South Alliance in December 2014; it experienced occasional tensions with the Yarmouk Army. The Fallujah of Horan Division was vetted for TOWs in January 2017, making it the last group to be vetted. Split from the Hamza Division in mid-2015. During its time as an independent group, the Mujahideen of Horan Brigade fielded TOWs; whether the CIA continued to provide them with TOWs during this time or whether these were simply carried over from its time in the Hamza Division is uncertain. The group had rejoined the Hamza Division by mid-2017. In August 2017 its commander was accused of murdering a man for refusing to marry his daughter. Affiliation: Free Syrian Army > Southern Front. Area of operations: Daraa. Ideology: secularism. Founded in May 2013 by Maj. Abd al-Latif al-Hawrani. As its name implies, the 1st Artillery Regiment mostly provides rocket, missile, and artillery support. It was vetted for TOWs in late 2014-early 2015. The group was one of the three founding members of the 1st Army in January 2015 but left later that year. Affiliation: Free Syrian Army > Southern Front. Area of operations: mainly Daraa; also Quneitra. Ideology: moderate Sunni Islamism. Formerly part of the southern branch of the Syria Revolutionaries Front. It was vetted for TOWs in mid-to-late 2014. Founded in April 2013 by Maj. Muhammad al-Turkmani, who was later killed in action. It was vetted for TOWs in mid-to-late 2014. It was part of the now-defunct southeast Daraa-based Lions of War Operations Room along with the Mutaaz Billah Army, Omari Brigades, and the Youth of Sunna Division. Affiliation: Free Syrian Army > National Front for the Liberation of Syria. Area of operations: mainly Quneitra; also Daraa. Ideology: Sunni Islamism. Not to be confused with the Iraq-based Ansar al-Islam, whose full Arabic name (Jamaat Ansar al-Islam) is similar to the Partisans’ Arabic name (Jabhat Ansar al-Islam). Led by Abu Muhammad al-Jolani (not to be confused with the leader of al-Nusra/Jabhat Fatah al-Sham). Despite being based in southern Syria, the group has deployed troops to Idlib and Hama in the past. Unlike most of the other groups on this list, the Partisans of Islam Front did not identify as part of the FSA until recently; for most of its existence, it has been an independent Islamist group. It was among the most solidly Islamist groups in the TOW program. It was probably chosen for its lack of reliance on al-Nusra. The group was part of the Syrian Islamic Liberation Front, one of the major rebel coalitions from 2012-2013. It was vetted in late 2014-early 2015. By early 2017 the Partisans of Islam Front was identified as part of the Southern Front, with which it had long worked closely. In July 2017 it helped form the National Front for the Liberation of Syria, an FSA coalition formed in reaction to receding support for the rebels from the West and the Gulf. The NFLS overlaps with the Southern Front and includes, among others, the Dawn of Unity Division, 16th Special Forces Division, Salah al-Din Division, and Unity Battalions of Horan Brigade. Affiliation: none. Area of operations: mainly Quneitra, Daraa; also Rif Dimashq. Ideology: Sunni Islamism. An independent Islamist group led by Muhammad Majid al-Khatib. Khatib had hoped for his group to be included in the Islamic Front; when it was not, he was bitterly disappointed and subsequently grew closer to more moderate FSA groups. The group works very closely with the Southern Front and is sometimes counted as part of it. Like the Partisans of Islam Front, it has deployed troops to Idlib in the past. It was vetted for TOW missiles in late 2014-early 2015. One of the main constituents of the Council. It was vetted for TOWs in mid-to-late 2014. It split from the QMC in January 2016, citing corruption and lack of funds, and renamed to Jaysh al-Sabiteen. The group ended up rejoining the QMC and reverting to its old name in December, ironically because it didn’t have enough funds to continue operating on its own. The lead group of the northern SRF. Formed in December 2011 as the Martyrs of Mt. Zawiya Battalion; based in the Jabal al-Zawia region of Idlib. Vetted for TOWs around August 2014. Its name is sometimes simplified to “Syrian Martyrs’ Brigades”. Led by Jamal Maarouf, who was also led the northern SRF as a whole. Although religiously conservative like many Idlibis, Maarouf’s group had a largely non-religious agenda. Maarouf was initially hailed as a construction worker-turned-revolutionary who helped to liberate the Idlib countryside from Assad’s rule, but over time he established a reputation for corruption. He fled to Turkey when al-Nusra defeated the SRF in late 2014. He later sent fighters to the Syrian Democratic Forces to fight IS. Formed in 2012 and based in the southern suburbs of Maarrat al-Nu’man in Idlib. Led by Mithqal al-Abdullah. It was vetted for TOWs in mid-2014. The Helpers Brigades were one of the first SRF units to be defeated in al-Nusra’s October 2014 offensive against the SRF. In December 2016 its exiled leadership announced their intention to return to the battlefield alongside the Syrian Martyrs’ Brigades, the Hazzm Movement, and a small SRF-allied group called Jabhat Haqq al-Muqatalia. In this statement, the Helpers Brigades were listed separately from the SRF, possibly indicating that the former wanted to distance itself from the latter. Affiliation: Free Syrian Army. Area of operations: mainly Aleppo and Idlib; also Hama, Homs. Ideology: mainly secularism; also moderate Sunni Islamism. Formed in January 2014 by a combination of civilians and defected military officers. Headquarted in Atarib, Aleppo. One of its leaders was Abu Abdullah al-Kholi, who had helped found the Farouq Battalions in Homs in June 2011; many of the groups merging to form the Hazzm Movement were northern Farouq affiliates. Other leading members included 1st Lt. Abdullah Awda and Bilal Atar. Supreme Military Council Chief of Staff General Salim Idris was also present at the founding. From its first days, the Hazzm Movement was closely tied to the CIA. Ideologically, it was mostly secularist and denounced the sectarianism that had begun to dominate the rebels. It also expressed support for a political solution to the conflict. Hazzm was the first group to be vetted for TOWs and some of its members received training in Qatar. The group’s closeness to the US won it many fighters as well as equipment and funds, but it also won it many enemies. Many other rebel groups looked upon Hazzm’s favored status with either jealousy or disdain. Although Hazzm did not have the infamous reputation that the SRF did, parts of it were still considered corrupt, partly stemming from the corruption of many northern Farouq fighters before they joined Hazzm. Al-Nusra saw Hazzm as a threat. When the al-Qaeda affiliate launched its offensive against the SRF in October 2014, the Hazzm Movement was also attacked and largely driven out of Idlib. Al-Nusra continued to attack Hazzm, causing the latter to appeal to other groups for mediation. No help came, and in March 2015, after losing most of its territory in Aleppo, Hazzm dissolved itself into the various factions of the Levant Front operations room, particularly the Army of Mujahideen, Harakat Nour al-Din al-Zenki, and the Authenticity and Development Front. Hazzm fighters have shown up again in various groups. The Atarib Martyrs Brigade, which was reportedly the largest component of Hazzm, joined the YPG-friendly Jaysh al-Thuwar before merging into the Army of Mujahideen in May 2016. Another former Hazzm affiliate, the 777th Regiment, had helped to form Jaysh al-Thuwar in May 2015 before leaving sometime later. The 9th Special Forces Division, which had initially helped form the SRF but left for Hazzm in January 2014, is still active today as part of Turkey’s Euphrates Shield operations room. Hazzm’s leadership had fled to Turkey when the group dissolved; in December 2016 they released a joint statement with some other rebel groups that had been forced to dissolve by al-Nusra in which they declared their intent to return to the battlefield. It is unclear if they will do so as independent factions or as part of other groups. Affiliation: Free Syrian Army > 1st Army > Syria Revolutionaries Front (southern sector). Area of operations: Rif Dimashq. Ideology: moderate Sunni Islamism? A former member of the Ahfad al-Rasul Brigades before joining the southern SRF. It was vetted for TOWs in mid-to-late 2014. The brigade came into conflict with al-Nusra and other rebel groups. In March 2015 it defected to the government alongside Jaysh al-Ummah, a rival of Jaysh al-Islam. Its fighters joined the National Defense Forces. There is no evidence they took any TOW missiles with them. Affiliation: Free Syrian Army > Southern Front. Area of operations: Damascus. Ideology: unknown. This small brigade is the only group active in Damascus itself that was vetted for TOWs apart from the al-Rahman Legion. It is active mainly in the Barzeh neighborhood. It was vetted in mid-to-late 2014. In April 2016 it left the Southern Front and joined the al-Rahman Legion, but it left al-Rahman and returned to the Southern Front sometime later. There were rumors of the brigade reconciling with the Assad government during the latter’s offensive in Damascus in mid-late 2017, and in October members were spotted fighting for the government against HTS in Hama governorate; presumably the 1st Brigade of Damascus, as such, is defunct. In December, a pro-opposition news site claimed that the group had been focused on profiteering since a 2013 truce with the government. It also accused the brigade’s leaders of torturing and murdering those who objected to its policies. Affiliation: Free Syrian Army > Jabhat Ahl al-Sham. Area of operations: Aleppo. Ideology: Sunni Islamism. Formed in January 2014 to fight ISIS. Led by Lt. Col. Abdel Qadel Bakur. It was an independent Islamist group for most of its existence, though parts of it (particularly the 19th Division) considered themselves part of the FSA. Close to the Syrian Islamic Council. It was considered more moderate than the Islamic Front, but still too Islamist to receive Western funding. The Army of Mujahideen was often accused of corruption and abuses in its early days, especially the 19th Division. In September 2014, after many defections and splits, the group was vetted for TOW missiles. The supply of TOW missiles stopped a few months later when the Army of Mujahideen helped to form the Levant Front operations room. In 2016 the group as a whole started identifying itself as FSA, and eventually the TOW supplies resumed. In December 2016 it regrouped with Kataeb Thuwar al-Sham (which had split in 2015) and a small hardline group called the Banners of Islam Movement to form Jabhat Ahl al-Sham. This new formation came under attack and was defeated by Jabhat Fatah al-Sham in January, and the Army of Mujahideen dissolved into Ahrar ash-Sham to stand a better chance of surviving. Affiliation: Free Syrian Army > Jabhat Ahl al-Sham. Area of operations: Aleppo. Ideology: Sunni Islamism. Split from the Army of Mujahideen in April 2015. Led by Capt. Naji Mustafa. Kataeb Thuwar al-Sham was one of the more frequent participants in the shelling of the YPG-held Aleppo neighborhood of Sheikh Maqsood. It merged into the Levant Front in January 2016 but by September it had left. The group helped form Jabhat Ahl al-Sham in December 2016. In January 2017, it was one of a number of groups attacked by Jabhat Fatah al-Sham. Alongside the Army of Mujahideen, Kataeb Thuwar al-Sham then dissolved into Ahrar ash-Sham to have a better chance of standing against JFS. The fate of the other Jabaht Ahl al-Sham member, the Banners of Islam Movement, is unknown. Affiliation: Free Syrian Army > Southern Front. Area of operations: Rif Dimashq. Ideology: unknown. Based mainly in the western Qalamoun mountains of Rif Dimashq near the border with Lebanon. Led by Col. Abdullah al-Rifai. In addition to its affiliation with the Southern Front, it was also part of the Western Qalamoun Gathering. The 11th Special Forces Division was vetted for TOWs in late 2014-early 2015. By mid-2015 it appeared defunct. Affiliation: Free Syrian Army > Southern Front. Area of operations: Daraa, Quneitra, Rif Dimashq. Ideology: moderate Sunni Islamism. Vetted for TOWs in mid-late 2014. It merged into the Yarmouk Army in January 2016. Affiliation: Free Syrian Army > Southern Front. Area of operations: Rif Dimashq. Ideology: unknown. Formed in November 2015. Some of its components were formerly part of the Forces of the Martyr Ahmad al-Abdo. The group was seen with at least one TOW missile; this could mean the group was vetted, or it could mean that the ex-Ahmad al-Abdo fighters brought a TOW with them. Judging by the fact that the 2nd Infantry Division disappeared a few months after its formation, the second scenario is more likely. Affiliation: Free Syrian Army. Area of operations: Aleppo. Ideology: Sunni Islamism, Sunni jihadism? Formed in January 2016. It includes many former Ahrar ash-Sham and Jabhat al-Nusra members. Despite identifying as part of the FSA, Ahrar al-Sharqiya has a hardline Salafi ideology. In September 2016 it was involved in a much-publicized confrontation with US Special Forces embedded with the Hamza Division (the Aleppo-based one, not the Daraa based one). In November it appeared with a TOW, which was likely given by one of the vetted factions. According to Charles Lister, Ahrar al-Sharqiya was vetted by the DoD’s program but lost its status after tensions with other groups in the program. Ahrar al-Sharqiya has also clashed with fellow members of Turkey’s Euphrates Shield operation and has a reputation for corruption and cruelty. Affiliation: none. Area of operations: mainly Idlib, Aleppo; also Hama, Rif Dimashq, Homs, Daraa, Quneitra. Ideology: Sunni Islamism, Sunni jihadism. Founded in January 2012 as Kataeb Ahrar ash-Sham by a number of Salafis who had been released from prison by the government. Ideologically similar to al-Qaeda, but more moderate in tactics and less internationally-focused. The group adopted its current name (in full: Harakat Ahrar ash-Sham al-Islamiya) in January 2013. It grew quickly and by the end of 2013 Ahrar ash-Sham was one of the largest and most influential rebel groups in Syria. Although it clashed with secular-minded groups on many occasions, Ahrar maintained generally positive relations with most FSA groups regardless of ideology. It was often seen as a bridge between more moderate, nationalist-minded rebels and international jihadis like al-Nusra. Ahrar led the Syrian Islamic Front, a coalition of hardline Islamist groups. Ahrar absorbed some of the smaller SIF members, and in November Ahrar and the remaining members helped to form the Islamic Front, largely a merger between the SIF and the more moderate Syrian Islamic Liberation Front. Ahrar was the dominant player in the Islamic Front as well, and again it absorbed some smaller companion groups. The Islamic Front had effectively become defunct by 2015, though it never formally dissolved and Ahrar still uses the Islamic Front logo. Around this time, Ahrar began tentatively reaching out to the West, hoping to be seen as a reasonable and civilized Islamic group rather than “the Syrian Taliban.” In late 2016 tensions between Ahrar ash-Sham and Jabhat Fatah al-Sham (formerly al-Nusra) began to increase as a result of Ahrar’s willingness to work with Turkey and the West. Conflict was also brewing inside Ahrar itself between “moderate” and “hardline” factions. In October, clashes erupted between Jund al-Aqsa and Ahrar, with many other rebel groups declaring support for the latter. Ahrar vowed to eradicate Jund al-Aqsa, but before it could crush the unpopular extremist group, Jund al-Aqsa joined Jabhat Fatah al-Sham to avoid punishment. JFS’s acceptance of this maneuver led to a further deterioration of relations with Ahrar. In January 2017 clashes between former Jund al-Aqsa members and Ahrar again erupted, this time prompting Ahrar and JFS to engage in open warfare with each other. Several other rebel groups sided with Ahrar, with some (such as the Army of Mujahideen and Kataeb Thuwar al-Sham) joining Ahrar for protection. At the same time, Jaysh al-Ahrar, a subfaction of Ahrar ash-Sham led by hardline leader Abu Jaber, defected and allied with JFS, helping to form Hayat Tahrir al-Sham. In July 2017 clashes again broke out between HTS and Ahrar ash-Sham, this time resulting in a HTS victory, leaving them in decisive control of Idlib governorate. Ahrar remains an important player, but its potency has been sapped. Ahrar is known to have fired at least one TOW missile: in Hama in March 2017. The man operating the TOW appears to be a former member of the Army of Mujahideen. Affiliation: Hayat Tahrir al-Sham. Area of operations: mainly Idlib, Aleppo, Hama; also Rif Dimashq, Homs, Daraa, Quneitra, Latakia. Ideology: Sunni jihadism. Formed in late 2011, although it officially announced its existence as Jabhat al-Nusra in January 2012. Originally a branch of the Islamic State of Iraq, which was still part of al-Qaeda at the time, Jabhat al-Nusra developed differences with its Iraqi parent organization. The Islamic State of Iraq had long had a reputation for extreme sectarian violence and a zero-tolerance policy for those who disagreed with it. Al-Nusra, as well as al-Qaeda’s leadership, wanted to take a more pragmatic approach, hoping to win the Sunni population over and gradually establish Islamic governance. In April 2013 ISI’s leader, renamed ISI to the Islamic State of Iraq and the Levant (ISIL/ISIS) and demanded that al-Nusra subsume itself into its parent organization. Al-Nusra’s leader, Abu Muhammad al-Jolani, refused, solidifying the split that had been forming between the two groups. Al-Nusra has been less extreme in its violence and more willing to work with non-jihadi groups than ISIS (now IS); this, combined with the group’s impressive fighting record against the Assad government, has enabled al-Nusra to embed itself in the Syrian opposition. However, it is still very much a highly sectarian terrorist organization bent on establishing a harsh Salafi state. Since 2014 it has stepped up its attacks on fellow rebel groups that it perceives as threats, especially US-backed factions. Other rebels became increasingly uneasy with their alliance of convenience with the al-Qaeda faction. In July 2016, in an attempt to restablish itself in the eyes of the Syrian opposition, Jabhat al-Nusra renamed to Jabhat Fatah al-Sham and formally disaffiliated with al-Qaeda, though strong links still exist and the international community still recognizes it as part of al-Qaeda. After further clashes with US-backed rebels as well as long-time ally Ahrar ash-Sham, JFS joined with four other groups in January 2017 to create Hayat Tahrir al-Sham, which is widely acknowledged as dominated by JFS. As the Assad government and its allies begin to regain the upper hand and the international powers scramble to carve out areas of influence, the future of al-Nusra/JFS/HTS and its relationship with the rest of the opposition is cloudy. Al-Nusra/JFS has captured several TOW missiles from vetted groups over the years, though these missiles represent only a small percentage of all those provided in the CIA’s program. Affiliation: none. Area of operations: Homs, Deir ez-Zor, al-Hasakah (previously throughout Syria), in addition to Iraq. Ideology: Sunni jihadism. Originally founded as Jamaat al-Tawhid wal-Jihad in Iraq in 1999 by the Jordanian Abu Musab al-Zarqawi. In 2004 JTJ joined al-Qaeda and renamed to al-Qaeda in Iraq. Zarqawi’s emphasis on takfir – accusing other Muslims of heresy – caused friction with Osama bin Laden and his successor Ayman al-Zawahiri. AQI merged with several other Iraqi jihadi groups to form the Mujahideen Shura Council. Zarqawi was killed by US forces in June 2006, and in October of that year the MSC renamed to the Islamic State of Iraq. By 2011, the ISI had been greatly weakened by the US and its allies, including Sunni tribesmen who had previously fought alongside ISI but became alienated by its extremism. The eruption of war in Syria and the sectarian undertones that came to influence the war, as well as increasing Sunni unrest in Iraq under Prime Minister Nouri al-Maliki provided ISI with the opportunity for a resurgence. ISI established a branch in Syria – Jabhat al-Nusra. Tensions between these two al-Qaeda groups, as well as between ISI and other Syrian rebels, led to al-Qaeda formally expelling ISI (known as ISIS since April 2013) from its ranks. By January 2014 nearly all Syrian rebels were at war with ISIS. In June 2014 the group’s leader Abu Bakr al-Baghdadi declared the establishment of a caliphate, a global Islamic State demanding the allegiance of all Muslims, with himself as caliph. At the same time, IS was making alarming strides in Iraq and Syria, controlling half of each (geographically) by the end of the summer. By this point, IS was fighting Syrian rebels more than the Assad government. This marked IS’ high point, though, as the world turned its guns on the rogue “caliphate”. Today, IS has been forced out of all major cities in Iraq and Syria. Just because the group’s territory is shrinking, however, does not mean that IS will soon be gone. It will likely return to its rural insurgency origins, continuing to plague the region and the world for the foreseeable future. IS has captured TOW missiles only once, in 2015 in the Eastern Qalamoun region of Rif Dimashq. The missiles were captured from either the al-Rahman Legion or the Forces of the Martyr Ahmad al-Abdo. Some of these missiles were recaptured by Jaysh Usoud al-Sharqiya, at this time still an affiliate of the Authenticity and Development Front and a non-vetted group. These articles and resources proved particularly helpful to me in writing this article. Many of them have already been linked to above. “9 FSA Factions in Possession of TOW Missiles, as Obama Mulls Greater Involvement in Syria.” Tahrir Souri. 9 May 2014. https://web.archive.org/web/20140720163537/http://tahrirsouri.com/2014/05/09/9-fsa-factions-in-possession-of-tow-missiles-as-obama-mulls-greater-involvement-in-syria/. Abdulhaq, Ethar. “Barzeh Neighborhood: Warlords Coordinated with Assad, Betrayed Opposition.” Zaman Al Wasl. 6 Dec. 2017. https://en.zamanalwsl.net/news/31541.html. El Yassir, Ali. “The Ahrar al Sham Movement: Syria’s Local Salafists.” Wilson Center. 23 Aug. 2016. https://www.wilsoncenter.org/article/the-ahrar-al-sham-movement-syrias-local-salafists-0. “Exclusive Interview: Former MIG Pilot Recounts Audacious Defection, Talks TOW Missiles.” Tahrir Souri. 6 June 2014. https://web.archive.org/web/20140608054515/http://tahrirsouri.com/2014/06/06/exclusive-interview-former-mig-pilot-recounts-audacious-defection-talks-tow-missiles/. “Exclusive Interview with Ahmad Al-Sa’oud, Head of Division 13, One of the 9 Factions Given Access to TOW Missiles.” Tahrir Souri. 17 May 2014. https://web.archive.org/web/20140724110110/http://tahrirsouri.com:80/2014/05/17/exclusive-interview-with-ahmad-al-saoud-head-of-division-13-one-of-the-9-factions-given-access-to-tow-missiles/. Haid, Haid. “Why Ahrar al-Sham is fighting itself – and how this impacts the battle for Syria.” Middle East Eye. 28 Dec. 2016. http://www.middleeasteye.net/columns/why-ahrar-al-sham-fighting-itself-and-how-impacts-battle-syria-1997438926. Heller, Sam. “Are Syria’s Rebels at Al Qaeda’s Mercy?” The Century Foundation. 26 July 2016. https://tcf.org/content/commentary/syrias-rebels-al-qaedas-mercy/. Heras, Nicholas A. “Muhammad Majid al-Khatib: A Rising Leader in the Free Syrian Army.” Militant Leadership Monitor. The Jamestown Foundation. 28 Feb. 2014. https://web.archive.org/web/20150713201359/http:/mlm.jamestown.org/single/?tx_ttnews%5Btt_news%5D=42039&tx_ttnews%5BbackPid%5D=539&cHash=2bd9a9d0221d650cde1b043739bb7602#.Wj9A43lG3IW. Killian, Alexander. “Jaysh Usud al-Sharqiya: Exiles of the Euphrates.” Bellingcat. 17 Apr. 2017. https://www.bellingcat.com/news/mena/2017/04/17/jaysh-usud-al-sharqiya-exiles-euphrates/. Kodmani, Bassma. “Empowering the Democratic Resistance in Syria.” Arab Reform Initiative. 10 Oct. 2013. http://www.arab-reform.net/en/node/593. Landis, Joshua. “Syria’s Top Five Insurgent Leaders.” Syria Comment. 1 Oct. 2013. http://www.joshualandis.com/blog/biggest-powerful-militia-leaders-syria/. Legrand, Félix. “The Resilience of Moderate Syrian Rebels.” Arab Reform Initiative. 1 Sept. 2014. http://www.arab-reform.net/en/node/485. Lund, Aron. “The End of the Levant Front.” Syria in Crisis. Carnegie Endowment for International Peace. 21 Apr. 2015. http://carnegie-mec.org/diwan/59855?lang=en. Mustafa, Hasan. “An Analysis of Jaish al-Thuwar (The Army of Revolutionaries) – A Component of the Syrian Democratic Forces.” WordPress.com. 16 Nov. 2015. https://hasanmustafas.wordpress.com/2015/11/16/an-analysis-of-jaish-al-thuwar-the-army-of-revolutionaries-a-component-of-the-syrian-democratic-forces/. Roche, Cody, and Ryan O’Farrell. “Factions Fighting in the Syrian Civil War.” Bellingcat. 29 Apr. 2017. https://www.bellingcat.com/news/mena/2017/04/29/factions-syrian-civil-war/. Roche, Cody. “The Trotskyist León Sedov Brigade in the Syrian Revolution.” Medium. 6 Dec. 2017. https://medium.com/@badly_xeroxed/the-trotskyist-le%C3%B3n-sedov-brigade-in-the-syrian-revolution-bf6ebf5ae851. Rowell, Alex. “The Rebel Who Defied Jihadists by Smoking.” The Daily Beast. 6 May 2017. https://www.thedailybeast.com/the-rebel-who-defied-isis-by-smoking. Szakola, Albin. “FSA Factions Reorganizing in Southern Syria.” NOW News. 25 Apr. 2016. https://now.mmedia.me/lb/en/NewsReports/566891-fsa-factions-reorganizing-in-southern-syria. “The Free Syrian Army: Southern Front – Transitional Phase.” Revolutionary Forces of Syria Media Office. 11 May 2016. https://rfsmediaoffice.com/en/2014/12/15/the-free-syrian-army-southern-front-transitional-phase/. White, Jeffrey. “Rebels Worth Supporting: Syria’s Harakat Hazm.” The Washington Institute. 28 Apr. 2014. http://www.washingtoninstitute.org/policy-analysis/view/rebels-worth-supporting-syrias-harakat-hazm. Winter, Lucas. “A Modern History of the Free Syrian Army in Daraa.” FMSO Leavensworth. Foreign Military Studies Office. 1 June 2013. https://web.archive.org/web/20140812124905/http://fmso.leavenworth.army.mil/documents/Free-Syrian-Army-Daraa.pdf. The civil side of Syria’s opposition has largely been overshadowed by the armed rebel groups amidst the country’s devastating conflict. Aside from the Syrian National Council, the wider Syrian National Coalition, and the rival National Coordination Committee, pro-opposition parties, interest groups, and activist networks have not been widely documented since the early days of the war. In this post I hope to give the reader a sample of some of the groups still in operation after nearly six years of civil war. This is not meant to be a comprehensive or balanced view of the current Syrian civil opposition, merely a brief look. I tend to rely on Facebook a lot, so groups that don’t have Facebook pages may be underrepresented. Keep in mind that some of these groups may online exist online. Kurdish parties and other groups operating in the Syrian Democratic Forces-controlled Rojava region will be saved for the next post, and after that I may look at pro-government parties (with which I am less familiar). Note that I use “moderate Sunni Islamism” to denote Islamist groups that support religious freedom and equal rights for non-Muslims, as opposed to more solidly Islamist groups that support religious tolerance and limited rights for non-Muslims (or non-Sunnis). Ideology: human rights, civil resistance. A decentralized network of civil councils and activist organizations that sprang up across Syria in reaction to the government’s crackdown on the initial protests in 2011. One of the most prominent and widespread opposition groups in Syria. It initially opposed armed opposition, even in late 2011 after thousands had been killed and the revolution became a civil war. Ideology: Sunni Islamism, Islamic democracy. One of the main political contenders in Syria’s early years of independence; it continued to be a very influential organization despite persecution, until the 1982 Hama massacre put an end to the insurgency launched by the Brotherhood and its radical offshoot, the Fighting Vanguard. The Brotherhood has since been highly influential in the exiled opposition, at times moving in more moderate or fundamentalist directions depending on the situation, but its reputation in Syria itself was damaged by the 1979-1982 insurgency; few protest groups or armed brigades, even those sharing similar Islamic democratic platforms, have been willing to identify with the Brotherhood. The organization’s administrative arm in the country, the Commission for the Protection of Civilians, and its most prominent armed affiliate, the Shields of the Revolution Council, were both defunct by early 2015. The Sham Legion, initially formed by defectors from the Shields of the Revolution Council, maintains very informal links with the Brotherhood. Ideology: Sunni Islamism, Islamic democracy. Formed in 2014 partly as a rival to the Brotherhood, though it also includes many Brotherhood members. It is more firmly based in Syria, as opposed to the more exile-oriented Brotherhood. Armed groups close to it include the Army of Mujahideen and the Ajnad al-Sham Islamic Union. Ideology: liberal democracy, human rights, non-sectarianism. One of the first and most prominent opposition networks on social media, founded in January 2011. Ideology: liberal democracy, secularism, social justice. One of the few reformist opposition parties tolerated by the Syrian government. Recently worked with the Kurdish Democratic Unity Party in Syria (aka Democratic Yekiti). Strongly supports a political solution and has been supportive of the various peace plans and ceasefires. It reportedly lost many of its members in 2015 when the group’s leader fled to Turkey. Note: the organization’s Facebook page appears more active than their website. Ideology: liberal democracy, secularism. Possibly the most opposition-leaning party tolerated by the Syrian government. Founded by former members of Building the Syrian State after that party unraveled. Ideology: Syriac/Assyrian interests, social democracy? Supports the Syrian National Coalition. May have ties with the Assyrian Democratic Movement in Iraq. A union of Syrian Turkmen political parties. Formally, it has control over the Syrian Turkmen Brigades; in reality, the “Syrian Turkmen Brigades” is nearly as loose a label as the “Free Syrian Army“, and not all predominantly Turkmen brigades have links with the Syrian Turkmen Assembly (the most prominent exception being the Seljuqs Brigade, which is part of the SDF). Note: their Facebook page appears to be more active than their website. Ideology: Turkmen interests, moderate Sunni Islamism? Seems to be modeled after Erdogan’s Justice and Development Party in Turkey. Ideology: Turkmen interests. Split from the Syrian Turkmen National Bloc. Originally I thought this party was more left-leaning than the National Bloc, but it may actually be more solidly Islamist and Turkish nationalist. Ideology: Turkmen interests. Split from the Syrian Turkmen Democratic Movement. Like the STDM, I have been unable to determine this party’s ideological orientation. Note: their Facebook page appears more active than their website. Ideology: social democracy (historically Leninism). Split from the Syrian Communist Party in 1973. 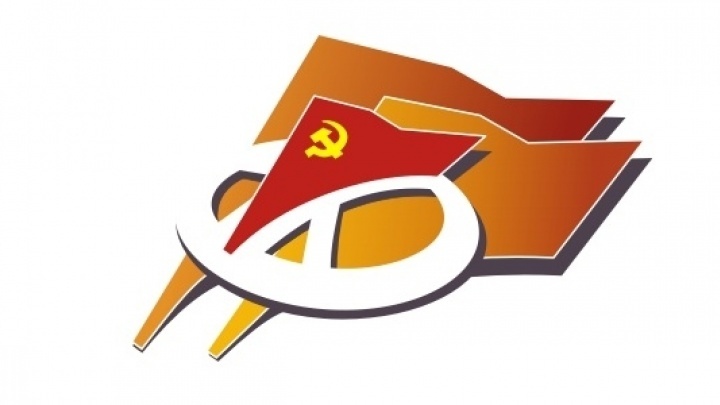 Known as the Syrian Communist Party – Political Bureau until 2005, when it renounced communism. The party is a prominent participant in the Syrian National Coalition’s government in exile and is also a member of the Progressive Alliance, a spin-off of the Socialist International. Ideology: Nasserism, democratic socialism. Split from the Arab Socialist Union Party of Syria (which remains pro-government) in 1980. Less stridently anti-regime than the SDPP (see above), sometimes resulting in squabbles between the two parties. The DASU was (and possibly still is) also a member of the NCC. Note: the party’s Facebook page appears more active than their website. Ideology: Marxism. Split from the Ba’ath Party in 1966. It was a member of the NCC but left a few months after its formation. Ideology: Arab socialism. Split from the pro-government party with the same name. Ideology: left-wing Ba’athism (i.e., opposition to neoliberal economic reforms of Hafez al-Assad), democratic socialism. Split from the Ba’ath Party in 1970. Left the NCC in 2015. It is represented in the Syrian Democratic Council, the legislative body of Rojava. Ideology: Leninism. Split from the original Syrian Communist Party in 1976. It left the NCC in 2015. Note: the party’s Facebook page appears more active than their website. Ideology: human rights, democracy. An opposition alliance from 2005. Founding members included the National Democratic Rally and the Syrian Muslim Brotherhood. Most of its affiliates have left, and the group has largely become defunct, though it is still active on social media. Ideology: centrism, economic liberalism, moderate Sunni Islamism. The party of Anas al-Abdah, who was elected president of the National Coalition in March 2016. Founded in 2006. The party itself may be defunct, as its website has long been offline. Ideology: liberal democracy, secularism. It was strongly against the arming of the opposition and supports a political solution to the war. Ideology: liberal democracy, secularism. Appears supportive of the National Coalition. It was connected at one point to Liwa Thuwar al-Raqqa, an FSA group in Raqqa governorate that fights alongside the YPG (though not always harmoniously) as part of the Syrian Democratic Forces. Ideology: Alawite interests. A 2015 pro-rebel Alawite party. Supports the National Coalition. Ideology: liberal democracy. At least at one point, it had links with a few small FSA groups, including Liwa Jisr Horan and the Tahrir al-Sham Division, both members of the FSA’s Southern Front. Ideology: liberal democracy, Arab nationalism. Identifies as Islamic but sees the war in non-religious terms. Ideology: Sunni Islamism, Arab nationalism. Ideology: liberal democracy. Opposes the SDF’s federalist project. Supports the National Coalition. Ideology: liberal democracy. Emphasis on non-sectarianism. Opposes the SDF. Ideology: liberal democracy. Focuses on Aleppo. Ideology: liberal democracy. Focuses on Deir ez-Zor. Possibly related to the Syrian Future Youth Movement. Ideology: unknown, possibly Arab nationalism? Hostile to the PYD/YPG and the SDF. Ideology: Arab nationalism, Sunni Islamism? Opposes the SDF. Ideology: unknown. Active in the Houran region of southwestern Syria, mostly in Daraa governorate. Ideology: Turkmen interests, moderate Sunni Islamism, anti-Kurdish sentiment? Strongly supports Turkey. Ideology: liberal democracy, secularism, economic liberalism, women’s rights. Formerly known as the Syrian National Front. Opposes federalism, but not necessarily hostile to the SDF. Ideology: liberal democracy, moderate Sunni Islamism, Arab nationalism, women’s rights. Emphasis on balancing respect for Syria’s supposed Arab and Islamic character with respect and equal rights for minorities. Ideology: liberal democracy, women’s rights, secularism. Opposes federalism, but not necessarily the SDF itself. Ideology: liberal democracy? Opposes the SDF. Ideology: moderate Sunni Islamism. A group of religious clerics that emphasizes freedom of religion and interfaith dialogue. Note: the group’s Facebook page appears more active than their website. Ideology: (moderate?) Sunni Islamism. Note: the link above is to the Aleppo branch, which appears to be the main branch and is more popular and more active than the central organization’s page. Ideology: Arab nationalism, anti-Alawite sentiment, anti-Shia sentiment? Sunni Islamism? Opposes the National Coalition. Ideology: Arab nationalism, moderate Sunni Islamism, anti-Shia sentiment? Ideology: liberal democracy. Focuses on reporting casualties, especially civilians. Ideology: moderate Sunni Islamism? Opposes the SDF. Ideology: liberal democracy, secularism, women’s rights. Opposes federalism. Ideology: human rights, minority interests, prisoner rights. A legal advocacy and monitoring group established in 2004. Note: the organization’s Facebook page appears more active than its website. Ideology: human rights, prisoner rights. Reports on the detention of activists and other civilians by rebel groups as well as government forces. Ideology: human rights, prisoner rights. Similar to the Working Group for Syrian Detainees. Ideology: liberal democracy, Arab nationalism, moderate Sunni Islamism, left-leaning economics, social liberalism. Founded in 2012. Ideology: Arab nationalism? Opposes the SDF. Ideology: liberal democracy. Opposes the SDF, but not as solidly opposed as some other rebel parties. Ideology: liberal democracy, ethnic/religious pluralism. Opposes the SDF. Founded in 2013; human rights activist Michel Kilo was its leader at least at first. Ideology: secularism, non-sectarianism. Critical of the SDF but not entirely opposed. Hosts many talks and lectures by academics, analysts, and activists. Ideology: Arab nationalism. Supports Turkey and opposes the SDF. Ideology: Arab nationalism? Appears to be affiliated with former Syrian Vice President Abdul Halim Khaddam, who fled the country in 2005, protesting the Syrian government’s alleged role in the assassination of Lebanese Prime Minister Rafik Hariri, who was close to Khaddam. Khaddam has previously led a group called the National Salvation Front in Syria, which may or may not still be active. Ideology: unknown. Particularly critical of jihadist groups. Ideology: liberal democracy, social justice, minority rights, women’s rights. Possibly inactive, as it has only made two posts in the last two years. Ideology: human rights, non-sectarianism, secularism? Holds discussions on various aspects of Syria, the revolution, and the war. Ideology: non-violence, civil resistance. Particularly focuses on the protection and raising of Syrian children. Note: the organization’s Facebook page appears more active than their website. Ideology: human rights. Focuses on the suffering of civilians under the government’s bombing, particularly in Aleppo. Ideology: moderate Sunni Islamism. Aims to unite pro-opposition youth groups. Ideology: liberal democracy. Supports an internationally-mediated political solution to the war. Ideology: liberal democracy, non-sectarianism. Emphasizes the importance of a transition period following a theoretical rebel victory over the government, aiming to preserve the government’s key functions and prevent societal collapse. Ideology: liberal democracy, secularism. Emphasis on equality and unity. Ideology: liberal democracy. Emphasis on opposition unity across ideological divides. Ideology: secularism. Kind of like a pro-opposition version of the Syrian Social Nationalist Party – emphasis on Syrian identity over all other religious or ethnic identities; very critical of Arab nationalism. Wants to reincorporate not only the Golan Heights (a common view among Syrians on all sides) but also the Hatay province disputed with Turkey, provided the local population assents. Distrusts Turkey. Ideology: Christian interests, Christian-Islamic unity, secularism. Ideology: Christian interests, especially those of Assyrians/Syriacs. Opposes federalism and is critical of the PYD. Ideology: Christian interests, non-sectarianism, humanitarianism. Based in the United States. Opposes federalism and is critical of the PYD. Ideology: feminism/women’s rights, liberal democracy. Note: the organization’s Facebook page appears more active than its website. Ideology: feminism/women’s rights, liberal democracy. Ideology: Marxism, secularism, women’s rights, minority rights. Opposes Arab nationalism. Ideology: secularism, Leninism, Stalinism? Presumably a split from one or both of the two “official” Syrian Communist Parties, SCP-Bakdash and SCP-Unified (both are pro-government). Ideology: secularism, leftism (mainly Trotskyism and anarchism). Maintains links with the Fourth International, an international Trotskyist organization. It established a small armed wing called the People’s Liberation Faction in 2014, which dissolved later that year due to harassment by Islamist and jihadist groups, especially al-Nusra. It has been critical of the PYD but is not opposed to the SDF and has even worked with pro-SDF parties, such as the Syrian National Democratic Alliance. Ideology: moderate Sunni Islamism, centrism. Critical 0f Saudi Arabia; opposes Wahhabism as “takfiri” and sectarian. Supports Turkey and condemns opposition activists like Haytham Manna for working with the SDF. Ideology: liberal democracy, ethnic/religious pluralism. Ideology: moderate Sunni Islamism? Trains judges. Seems to recognize the National Coalition. Ideology: conservatism, moderate Sunni Islamism, Syrian Turkmen interests? Emulates Erdogan‘s Justice and Development Party; strongly supportive of Turkey. Ideology: conservatism, moderate Sunni Islamism, Syrian Turkmen interests. Appears to be newer and more active than the above party of the same name; unknown if the two are linked. Proclaims to be “tolerant” and “respectful” of all people, but opposes Alawites and calls them “Nusayris“. Ideology: unknown. Opposes the SDF. Ideology: Sunni Islamism, anti-Shia sentiment? Opposes the SDF. Note: the party’s Facebook page appears more active than their website. Ideology: moderate Sunni Islamism? Arab nationalism? Particularly critical of external intervention in the revolution and subsequent war. Ideology: leftism, secularism. Especially critical of fundamentalist and jihadist rebels like Jaysh al-Islam and Jabhat al-Nusra/Jabhat Fatah al-Sham. Supportive of humanitarian negotiations and ceasefire attempts. Opposes the SDF. Ideology: liberal democracy, women’s rights, secularism, Arab nationalism. Centered around Dr. Imad Eddin Mahmoud Khatib, an academic and former member of the National Coalition. Appears to be related to (possibly a split from?) a pro-government party of the same name. Opposes the SDF’s federalist project, but also appears critical of Turkey. Heavily critical of the current state of the rebellion. Ideology: liberal democracy, Arab nationalism. Appears to identify as Sunni, but sees the war in non-religious terms. Hostile to the National Coalition. Ideology: liberal democracy. A gathering of opposition groups and figures with a plan for a post-Assad transition, particularly emphasizing law and order. Opposes the SDF. Among the signatories are several parties I have already listed above: the Solidarity Party, Center Party of Syria, the Damascus Declaration, the Syrian Communist Party, and the Justice and Development Party in Syria (one of them, I don’t know which). Note: the organization’s Facebook page appears to be more active than its website. I have found that leftists have incredibly diverse attitudes toward Syria, even within ideological tendencies. All the groups profiled below support secularism and socialism (or, in the case of some anarchists, socialist-like systems) and oppose intervention by Western powers, but their attitudes towards the Assad regime, the Kurdish PYD/YPG-led Rojava, the vast and multi-colored opposition, and the so-called Islamic State vary greatly. I will eventually follow up this article with a list of leftist groups in Syria. I use “Leninists” to refer to communists who are pro-Lenin but neither pro-Stalin nor pro-Trotsky. “Leninists” usually call themselves Marxist-Leninists, but that same label is also used by those who support Stalin (“anti-revisionists”), so I find use of the term “Marxist-Leninist” problematic. “Stalinists” seldomly use this term to describe themselves; as said above, they prefer “Marxist-Leninist”. Nevertheless, I call them “Stalinists” to distinguish them from Maoists, who branched off into their own ideology, and Hoxhaists, who support Stalinism as specifically applied under Albania’s communist leader Enver Hoxha. Trotskyists are somewhat notorious for splitting and quarreling with each other over relatively small things. You’ll see that I’ve split the multitude of Trotskyist groups into three tendencies: “post-Pablo”, “anti-Pablo”, and “other”. This refers to the most prominent split in the Trotskyist movement: in 1953, the Fourth International (the original Trotskyist political international) split over the policies of its leader Michel Pablo. Many of the groups that split away, including the Socialist Workers Party in the US, eventually rejoined in 1963 after Pablo had become marginalized and expelled from the FI; the resulting “re-unified” Fourth International is sometimes known as the United Secretariat of the Fourth International, or USFI. I refer to Trotskyists who support this reconciliation as “post-Pablo”. Some of the dissidents continued to see the FI as “Pabloite”; I refer to these as “anti-Pablo” (often they will refer to themselves as “orthodox Trotskyists”). Although there is very little ideological substance to the current divide between post-Pablo and anti-Pablo, relations between the two tendencies are often hostile, so I find it helpful to retain the distinction. The third major Trotskyist tendency is the Third Camp, which had split from the mainstream Trotskyist movement in 1940, having become dissatisfied with the latter’s allegedly too-sympathetic view of the USSR under Stalin. Third Camp Trotskyists, as well as mainstream Trotskyists who do not fall into either category regarding the Pablo split, are grouped under “other Trotskyists”. V. I. Lenin expanded on the work of Marx and Engels, arguing that an elite vanguard party would be needed to lead the working class to overthrow the capitalist order and establish a socialist dictatorship of the proletariat in order to lead to the achievement of communism. The vanguard party was to be organized along democratic centralist lines: debate within the party was encouraged, but once a majority decision had been reached, party members were expected to comply. This highly centralized mode of organization was opposed by the Mensheviks, the rivals of Lenin’s Bolsheviks. Both the Bolsheviks and Mensheviks held that Russia, as a relatively underdeveloped country, would need to undergo a bourgeois democratic revolution before a socialist revolution could succeed. But whereas the Mensheviks were relatively supportive of the provisional government that came to power in the February Revolution of 1917, the Bolsheviks called for the overthrow of this government and the immediate transition to socialist rule. In the October Revolution later that year, the Bolsheviks seized power and spent the next few years consolidating their rule during the chaotic Russian civil war. Background information: founded in 1919. The “official” (e.g., pro-Moscow) American communist party during the Cold War. Since the fall of the Soviet Union, it has promoted a softer, more liberal democratic-friendly version of communism while still maintaining its official Leninist doctrine and structure – similar to the Western European Eurocommunist movements of the 70s and 80s. Although this trend has made it the target of much criticism from traditional, hardline communists, it retains links with the “official” communist parties of the world as a participant in the International Meeting of Communist and Workers Parties, which is listed further down. Background information: formed in 1938. Originally the major Trotskyist party in the US, it drifted away from Trotskyism in the 80s towards a more Cuba-friendly Leninist position. It leads an informal international grouping of pro-Cuban ex-Trotskyists called the Pathfinder tendency. It remains one of the largest far left parties in the US. Background information: split from the SWP in 1958-1959 under the leadership of Sam Marcy. Marcy had supported the controversial 1956 Warsaw Pact invasion of Hungary and admired many aspects of Mao’s China. The WWP maintains a positive – though not completely uncritical – attitude towards all Communist regimes, from the USSR under Stalin to the USSR under Khruschev, from China under Mao to China under Deng Xiaoping, to Vietnam, Cuba, and North Korea. It has loose links with the International Communist Seminar, which is listed further down. Background Information: split from the Workers World Party in 2004 for reasons that are still unclear. Like the WWP, it is largely supportive of the various different Communist regimes of past and present. Along with the Socialist Workers Party, it is one of the more visible far left groups in the US, regularly running candidates for election. Like the WWP, it also maintains loose links with the International Communist Seminar. Background information: The original FRSO was formed as a Maoist party in 1985. In 1999, it split into two rival groups, each claiming the name and legacy. This faction, using the domain freedomroad.org, has largely abandoned Maoism, arguing that a more open-minded Leninist approach (e.g., less focused on fighting revisionism) was necessary. Black Liberation and self-determination for other oppressed “nations” continue to play a prominent role in both factions’ platforms. Background information: an ex-Hoxhaist party formed in 1992. Opposition to alleged American imperialism and defense of alleged US targets (e.g., North Korea) are its most prominent themes. Background information: formed in 1993, though its roots lie in a 1958 anti-revisionist split from the Communist Party USA. Its predecessor organizations were Maoist and Black Liberationist. Background information: founded in 1995 from remnants of the Marxist-Leninist Party, USA, which was Hoxhaist. CVO describes itself as “anti-revisionist”, but unlike the actual anti-revisionist movement, it considers Stalinism and its ideological descendants – Maoism and Hoxhaism – as revisionist as well as Trotskyism. Instead, it advocates a “return to Lenin”. Background information: split in 1981 from the Marxist-Leninist Party, USA (see Communist Voice Organization above) after the MLP-USA broke with the Communist Party of Canada (Marxist-Leninist). The USMLO remains closely linked to the CPC-ML, which abandoned Hoxhaism in the late 80s in favor of a more Cuba- and North Korea-friendly stance. Joseph Stalin took over from Lenin during a long intra-party struggle in the 1920s and put forth the idea of socialism in one country, the idea that socialism could be achieved in the USSR despite the failure of other communist revolutions around the world. He was most infamous, of course, for his extremely brutal suppression of dissent and extensive cult of personality. When Nikita Khrushchev secured control of the USSR in 1953 following Stalin’s death, he repudiated what he saw as Stalin’s excesses, leading those who supported Stalin to deem Khruschev “revisionist”. Mao’s China and Hoxha’s Albania led the subsequent anti-revisionist movement but split during the 70s over Mao’s alleged deviations from Stalin’s policies and the increasing détente between China and the US. Hoxhaist ideology is extremely similar to Stalinism; as said above, the difference is that Hoxhaists support Stalinism as specifically applied in Hoxha’s Albania. Background information: a Hoxhaist international founded in 1994; it is referred to with the name of its publication in parentheses to distinguish it from the Maoist international of the exact same name which publishes International Newsletter (see Revolutionary Organization of Labor below). Leading parties include the Marxist-Leninist Communist Party of Ecuador and the Workers’ Party in Tunisia. The American Party of Labor appears to be the unofficial US section of the ICMLPO-US. Background information: founded as a Maoist split from the CPUSA in 1962. It controlled nearly half of the well-known Vietnam-era Students for a Democratic Society activist group. It moved away from Maoism in 1971 and is now Stalinist, though as noted in my introduction, they would dispute this label. Not affiliated with any international tendencies, but they claim to have several supporters across the globe. Background information: split from the CPUSA in 1961. Formerly known as the Ray O. Light Group. Very little online presence. Traditionally it has been considered Maoist, and it participates in the International Conference of Marxist-Leninist Parties and Organizations (International Newsletter), a Maoist international, but it is also critical of many key aspects of Maoism, particularly the Cultural Revolution. It is also a member of the International Coordination of Revolutionary Parties and Organizations and is a regular attendant of the International Communist Seminar, both of which are listed further down. Mao Zedong further developed Stalinism. Whereas most Marxists up to that point focused on the industrial proletariat, Mao focused on the peasantry. He emphasized rural guerrilla warfare and anti-imperialism in “Third World” countries. He also encouraged a “Cultural Revolution” to rid China of treacherous “capitalist-roaders”, “feudal” cultural practices, and other vestiges of capitalism and imperialism. This tumultuous period of Chinese history lasted from 1966 to 1976, when Deng Xiaoping secured power and instituted a number of reforms, including reducing much of the cult of personality around the now-dead Mao, allowing (limited) criticism of the party, and opening the country to market reforms and privatization. Deng called his reforms “socialism with Chinese characteristics.” The ideology of the Chinese Communist Party today is still officially referred to as “Mao Zedong Thought”, but “Maoists” today view the Chinese regime as revisionist. Background information: formed in 1975. The main Maoist party in the US. Led by the charismatic Bob Avakian, it controlled the other half of the Students for a Democratic Society and battled bitterly with the Progressive Labor Party for control. It was a member of the now-defunct Revolutionary Internationalist Movement. The RIM advanced a specific type of Maoism called Marxism-Leninism-Maoism, which placed special emphasis on guerrilla-style “protracted people’s wars” and included such infamous militant groups as the Communist Party of the Philippines, the Communist Party of Peru (“Shining Path”), and one of many Nepalese Maoist factions that overthrew the monarchy in that country in following the 1996-2006 civil war. Background information: the other half of the 1999 split in the FRSO (see Leninist section). This faction continued the original FRSO’s Maoist line. It is affiliated to the International Communist Seminar and is arguably the most pro-North Korean of any US party. Leon Trotsky was Stalin’s chief rival to succeed Lenin. Trotsky criticized Stalin’s bureaucracy as well as the concept of socialism in one country, instead arguing that the only way for socialism to succeed in Russia was if other revolutions occurred around the world at the same time; otherwise, the world’s capitalist forces would overwhelm the isolated Russia and reverse the revolution. Trotsky defined Stalin’s USSR as a “degenerated workers’ state” – that is, a state which had originally been truly socialist but had degraded over time through the lack of world revolution and the poisonous Stalinist bureaucracy, though it was still better than a capitalist state. Workers owned the means of production, but not political power. Trotsky was assassinated in 1940, and when Soviet satellite states began popping up in Eastern Europe following World War II, his followers called these satellites “deformed workers’ states”: similar to degenerated workers’ state, but unlike the USSR, they had been stunted from birth. See the introduction for details on the major splits within Trotskyism. Background information: the result of the reunification of the original Fourth International in 1963. Calls itself simply the Fourth International, but it’s often called the United Secretariat of the Fourth International (referring to the name of the leadership council from 1963-2003) to distinguish it from other claimants of the “Fourth International” name. Background information: split from the Socialist Workers Party in 1983 as the SWP abandoned Trotskyism. One of the five major US Trotskyist parties today. Semi-affiliated with the USFI, but it disagrees with most other USFI sections on Syria. Background information: founded in 1988. Partly exists as a faction within Solidarity (see below). Considered very close to the USFI, though not officially affiliated. Background information: another major Trotskyist international. Leading party is the Socialist Party in England and Wales. Strong emphasis on the role of trade unions. Historically, it pursued the tactic of entryism (joining another party in the hopes of swaying that party to your position), but that was abandoned in 1991-1992. American section is Socialist Alternative, one of the five major Trotskyist parties in the US. Background information: split from the CWI in 1992 after upholding the tactic of entryism. Formerly known as the Committee for a Marxist International. Leading party is Socialist Appeal in the UK. US section is Workers International League. Background information: split from Socialist Action in 1999-2001. Like the Socialist Workers Party, it views Cuba very positively. Also known as Socialist Viewpoint after their magazine. Background information: split from the Socialist Workers Party in 1964 over a number of differences. Places a special emphasis on radical feminism. One of the five major Trotskyist parties in the US. Background information: split from the United Secretariat of the Fourth International in 1982 under the leadership of Nahuel Moreno after disagreeing with the USFI’s decision to endorse guerrilla warfare in Latin America. Leading party is the United Socialist Workers Party in Brazil. American section is Workers’ Voice. Background information: formed in 1995, partially as a split from the International Workers League – Fourth International. Leading party is the Socialist Workers’ Movement in Argentina. American section is Socialist Core. Background information: split from the International Workers League – Fourth International in 1993. Formerly known as the Trotskyist Fraction – International Strategy. Leading party is the Socialist Workers’ Party in Argentina. No US section. Background information: split from the original Fourth International in 1953 (see introduction). Leading party is the Socialist Equality Party in the US, one of the country’s five major Trotskyist parties, which emerged from a 1964 split from the Socialist Workers Party after the SWP joined the re-unified FI. Background information: a minor Trotskyist international formed in 2004. It generally holds similar positions to the International Committee of the Fourth International. Leading party is the Workers’ Party in Argentina. American section is Refoundation and Revolution, a faction within the multi-tendency group Solidarity (listed further down), though R&R may be defunct. Background information: a Trotskyist international founded in 1993. The last in a series of internationals formed around the leadership of French Trotskyist Pierre Lambert. Leading party is the International Communist Current in France, though that organization’s current status in unclear. American section is Socialist Organizer, which puts a special emphasis on Latino activism. Stance on Syria: supports opposition. Opposes YPG and SDF, seeing them as imperialist tools and allied with Assad. Accuses both radical Islamists and pro-western high-ranking military defectors of hijacking the revolution. Opposes internationally-sponsored negotiations. Connected to the Leon Sedov Brigade, an Aleppo-based rebel brigade which is currently part of the Levant Front. Background information: I can’t find much in the way of this international’s history. The leading section seems to be the Workers Internationalist League in Argentina, which was the leader of a now-defunct international called the Organizing Committee of Principalist Trotskyism (Fourth International). Background information: split from the International Committee of the Fourth International in 1966. Formerly known as the International Spartacist Tendency. Leading party is the Spartacist League in the US, which had split from the Socialist Workers Party in 1964 after the SWP joined the re-unified FI. Background information: split from the International Communist League – Fourth International in 1982, accusing the Spartacist League’s leader James Robertson of ruthlessly harassing anyone who posed a threat to his leadership. Leading party is the Bolshevik Tendency in the US. Background information: split from the International Bolshevik Tendency in 2008, accusing its leaders of the same abuse of power that led the IBT to split from the ICL-FI. Unclear if it is just a US group or if it has an international following. Background information: a minor Trotskyist international formed in 1998. Leading party is the Internationalist Group in the US, which had split from the Spartacist League in 1996. The L4I sees the Spartacists’ ICL-FI as insufficiently devoted to three central principles: maintaining an active and distinctly Trotskyist international, remaining active in the labor movement, and defending the Soviet Union and its satellite states as the lesser evils in the face of capitalism. Background information: I can’t find information about the origins of this Trotskyist international. It places special emphasis on union activity. Its leading party is the Lutte Ouvrière in France. American section is The Spark, which was formed in 1971 a few years after its members split from the Spartacist League for developing sympathies with the Lutte Ouvrière. Background information: a Third Camp Trotskyist international formed over a long period of time between the 60s and 90s. Its (now deceased) leader, Tony Cliff, championed the theory that the Stalinist states were not deformed or degenerated workers states, but rather “state capitalist”, or capitalist economies controlled by state bureaucracies with socialist trappings. Leading party is the Socialist Workers Party in the UK (not to be confused with the SWP in the US). American section used to be the International Socialist Organization (see below). Background information: formed in 1977. One of the five major US Trotskyist parties. It was the American section of the International Socialist Tendency until 2001, when it was expelled over disagreements on how to view the end of the Cold War. Background information: a Trotskyist international formed in 1984. It argues that the original Fourth International broke with true Trotskyism in 1951 when it declared that the Stalinist parties in Eastern Europe were still capable of being reformed. Leading party is the Red Flag Platform (formerly known as Workers’ Power) in the UK, which in 2015 joined the Labour Party. Workers’ Power had split from the same group that later became the Socialist Workers Party (UK, not US; see International Socialist Tendency above) in 1974. American section is also known as Workers’ Power. Background information: split from the League for the Fifth International in 2011. The leading section is in the UK (they simply go by the name RCIT Britain). No US section. Background information: a small Trotskyist international formed in 1992. Known for its theory that the USSR was “statified capitalist”, with some characteristics of capitalism but not as much as Tony Cliff thought. Leading party is the League for the Revolutionary Party in the US, which is descended from the same group from which the International Socialist Organization split. Background information: a Third Camp Trotskyist party in the UK. It originally formed in 1966 as a split from the group that later became the Militant Tendency, which founded the Committee for a Workers’ International (listed earlier); after several mergers and defections, it emerged in its modern form in 1992. AWL holds that the USSR and its satellite states were “bureaucratic collectivist”, the same conclusion that the American Max Shachtman came to after he split from the original Fourth International in 1940, creating the Third Camp. Due to this particularly negative view of the USSR and its satellite states, as well as its allegedly “soft” view of Western imperialism and Zionism, AWL has a poor reputation among other leftist groups. Left communists emerged as critics of both the Mensheviks and the Bolsheviks. They promoted a highly decentralized socialist government. Rosa Luxemburg was an important influence on left communism. Background information: a left communist international formed in 1975. Leading party is International Revolution in France. American section is known as Internationalism. Background information: a left communist international formed in 1983; formerly known as the International Bureau for the Revolutionary Party. Leading party is the Internationalist Communist Party (Battaglia Comunista) in Italy, which had split from Amadeo Bordiga’s International Communist Party (see below) in 1952. American section is the Internationalist Workers Group. Background information: founded in 1943 in Italy; became an international in the 60s. A leading figure was Amadeo Bordiga; Bordigist left communism has similar views of the “vanguard party” to those of Lenin, although Bordiga heavily criticized the authoritarian state that developed as the Bolsheviks emerged from the Russian civil war. In the late 60s and 70s, the ICP began to split into several different organizations, all claiming the original name. The faction linked above is known as “International Communist Party (Il Partito Comunista)” after their newspaper. No American section. “Left anarchism” encompasses all anarchist schools of thought supporting collectivist economic models, such as Mikhail Bakunin-style collectivism, socialism, or syndicalism (essentially, rule by trade unions). Some also identify as communists (though not Marxists) and are thus called anarcho-communists. Left anarchists themselves typically regard the term “left anarchism” as redundant since they believe all true anarchists are economically left-wing and that laissez-faire anarchists or right anarchists are not true anarchists. Background information: a left anarchist international. Leading affiliate is the Anarchist Federation in France. No American section. Background information: an anarcho-syndicalist international. Leading affiliate is the National Confederation of Labor in Spain (CNT in Spanish), which was one half of the CNT-FAI anarchist alliance that played a prominent role in the Spanish Civil War (the FAI, or Iberian Anarchist Federation, is the Spanish affiliate of the International of Anarchist Federations today). Its American section used to be the Workers Solidarity Alliance (see below). Background information: an anarcho-syndicalist group in the US. It left the International Workers Association for unknown reasons, though it essentially has the same ideology. Background information: a loose platformist network based around a website created in 2005. “Platformism” is a trend within anarcho-communism and anarcho-syndicalism that promotes the organizational philosophies of Nestor Makhno and other Ukrainian and Russian anarchists who led the ultimately-defeated Free Territory in Ukraine during the Russian civil war. Many of Anarkismo’s unofficial “affiliates” were part of the now-defunct International Libertarian Solidarity. Leading “affiliate” is the General Confederation of Labour in Spain, which split from the CNT (see International Workers Association) in 1979 over how to approach the Spanish transition to democracy. Two American “affiliates”: Black Rose Anarchist Federation and Humboldt Grassroots. Background information: an international based around an annual conference first established by the Communist Party of Greece in 1998. Its members are the “official” Communist Parties – usually, but not always, those which were pro-Soviet. Leninists, Stalinists, Maoists, and Hoxhaists are all represented. Leading parties include the Communist Party of the Russian Federation, the Communist Parties ruling China, Laos, Vietnam, and Cuba, the Workers’ Party of Korea (which has officially abandoned Marxism and Leninism but retains ties to the world’s communist parties), and countless others. Among these are the Syrian Communist Party (Bakdash), which is Stalinist, and the Syrian Communist Party (Unified), which is Leninist; both are members of the Ba’ath-led National Progressive Front. American section is the CPUSA, listed earlier. Background information: a loose international based around an annual conference hosted by the Workers’ Party of Belgium, first organized in 1996. Members are mostly anti-revisionist (e.g., Stalinist, Maoist, and Hoxhaist), with some sympathetic Leninists, including some of the “official” Communist Parties, meaning that the ICS overlaps with the International Meeting of Communist and Workers’ Parties. The ICS’ current status is unclear: their website is offline, and as far as I can tell, the last meeting was in 2014. Furthermore, the Workers’ Party of Belgium seems to have abandoned anti-revisionism in favor of Eurocommunism (see CPUSA entry). The Syrian Communist Party (Bakdash) was a regular attendant. American parties that regularly attended include the Freedom Road Socialist Organization (Maoist faction) and Revolutionary Organization of Labor. The Workers World Party and the Party for Socialism and Liberation attended occasionally or were invited but did not attend. Background information: an anti-revisionist international founded in 2010. Mostly made up of Maoist parties, with some Stalinists, Hoxhaists, and Leninists. Leading parties include the Marxist-Leninist Communist Party in Turkey, the Marxist-Leninist Party of Germany, and the Provisional Central Committee of the Communist Party of India (Marxist–Leninist). American section is the Revolutionary Organization of Labor. Background information: a multi-tendency leftist group in the US. It was the result of a merger of three Trotskyist groups in 1986, one of which was the same group from which the International Socialist Organization had split. It maintains loose links with the United Secretariat of the Fourth International. Background information: an “Impossibilist” Marxist international founded in 1904. Impossibilism is particularly critical of the value of social and economic reforms, arguing that such reforms actually strengthen capitalism and should therefore be avoided. It also rejects Lenin’s concept of the vanguard party and democratic centralism. Leading party is the Socialist Party of Great Britain. American section is the World Socialist Party of the United States. Background information: a Marxist Humanist organization in the US founded in 1955. Originally Trotskyists, its members, led by Raya Dunayevskaya, combined a focus on Marx’s philosophical works with the ethics- and rationalist-focused philosophy of humanism. Dunayevskaya had sided with Shachtman in the 1940 split in the Trotskyist movement and ended up agreeing with Tony Cliff (see International Socialist Tendency) that the USSR was state capitalist. Background information: a small Marxist Humanist international. It was founded in 2010 by the US Marxist Humanists, which was one half of a 2007-2008 split from News & Letters over alleged cliquish leadership and degenerating activity. Background information: a loose network of Latin American leftist parties founded in 1990. Member parties range from center-left social democrats to the far-left Communist Party of Cuba. Besides the CPC, leading members include the Workers’ Party of Brazil, the Movement for Socialism in Bolivia, the Farabundo Martí National Liberation Front in El Salvador, and the United Socialist Party of Venezuela (the party of the late Hugo Chavez). Three American affiliates, all in Puerto Rico: the Puerto Rican Nationalist Party, the Socialist Front, and the Hostosian National Independence Movement. Here’s a link to the article I wrote last spring. It summarizes the American role in the Syrian civil war, describes in detail the plight of the “moderate rebels”, and makes policy recommendations. Feedback is very much appreciated. Hi there. I’ve been closely following the Syrian civil war since 2014 and would like to share what I know. I specialize in keeping track of the various factions and subfactions, their logos, and their ideologies. My most notable contribution has been a continually-updated list of factions. I also have a Facebook page and a Twitter account. On Facebook I write up short summaries of factions or events for those new to studying the conflict. On Twitter I share useful or intriguing information by others, and sometimes my own thoughts. I will use this site to post anything too long for either of those outlets.